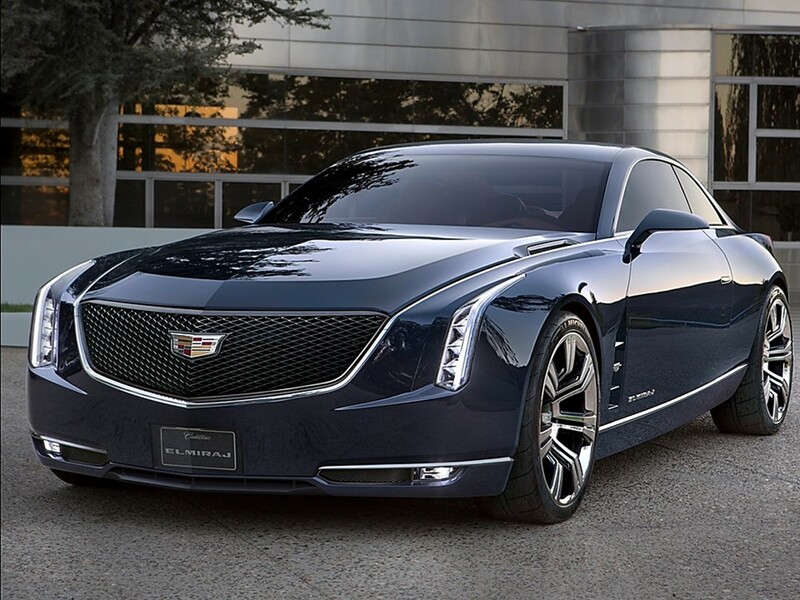 Posted October 18, 2015 by 99MilesPerHour3 Comments on Cadillac: The Standard of the Entire World	"As the Standard of the World Turns"
Theodore MacManus wrote in his famous “The Penalty of Leadership” advertisement: “That which is good or great makes itself known, no matter how loud the clamor of denial.” Cadillac prowess in the luxury car arena made headlines all over the world. 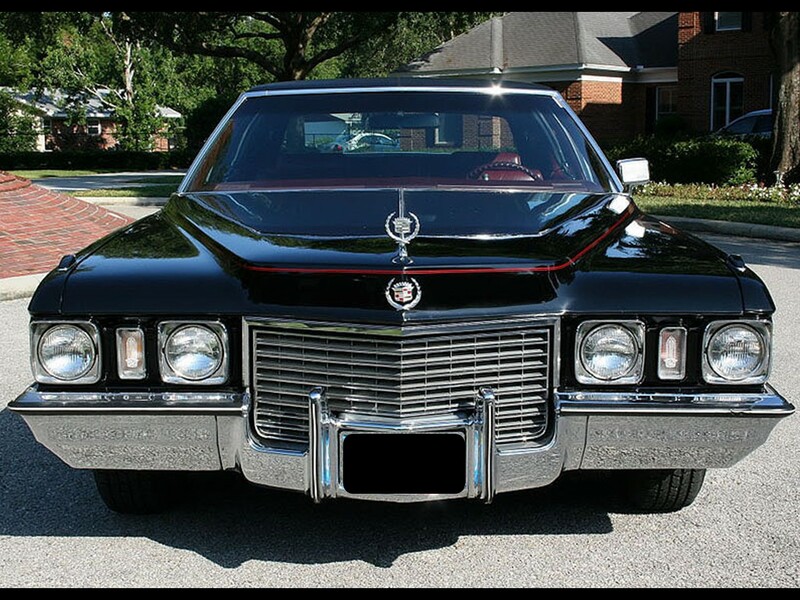 From the massive V16 and V12 powerplants to the modern V8 engines…Cadillac was the master builder of the luxury automobile. 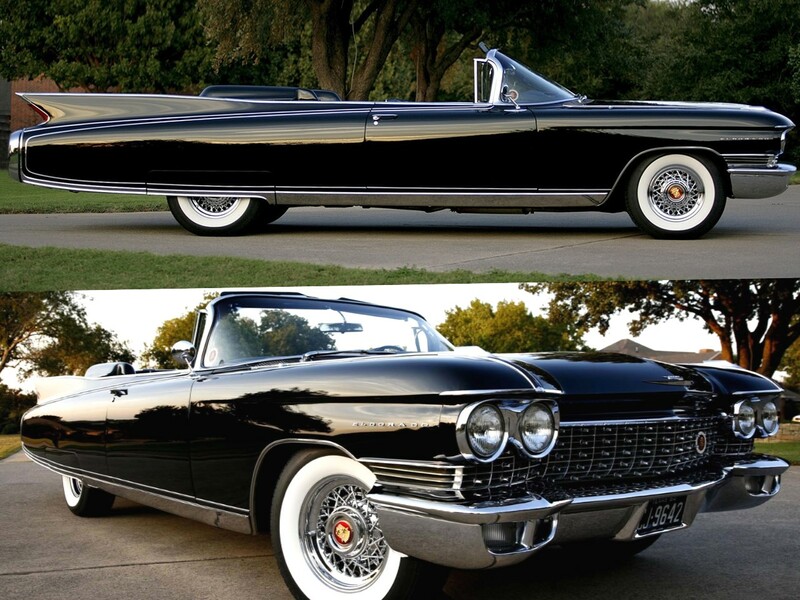 There was a time when Cadillac had no product recalls…they even sold without advertising. 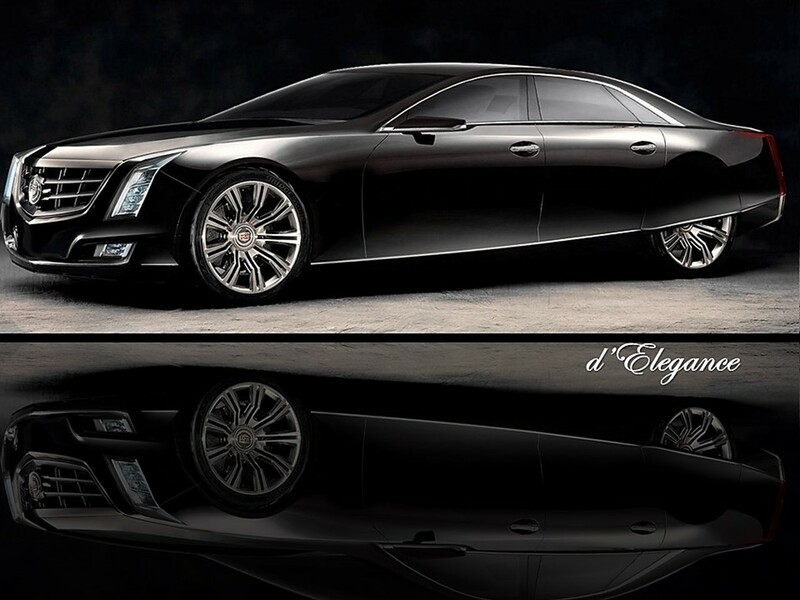 Cadillac was recognized as the luxury leader world-wide. 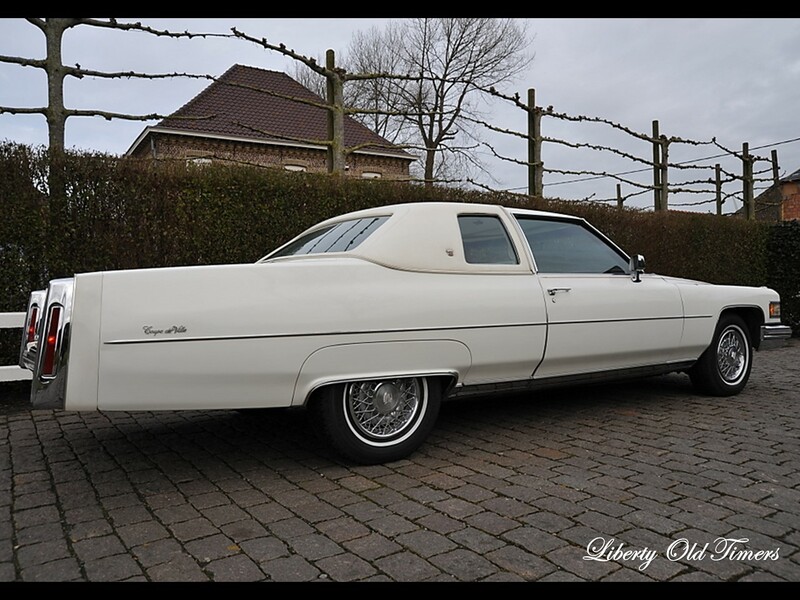 The mere mention of “Cadillac” had the competition in a nervous frenzy. 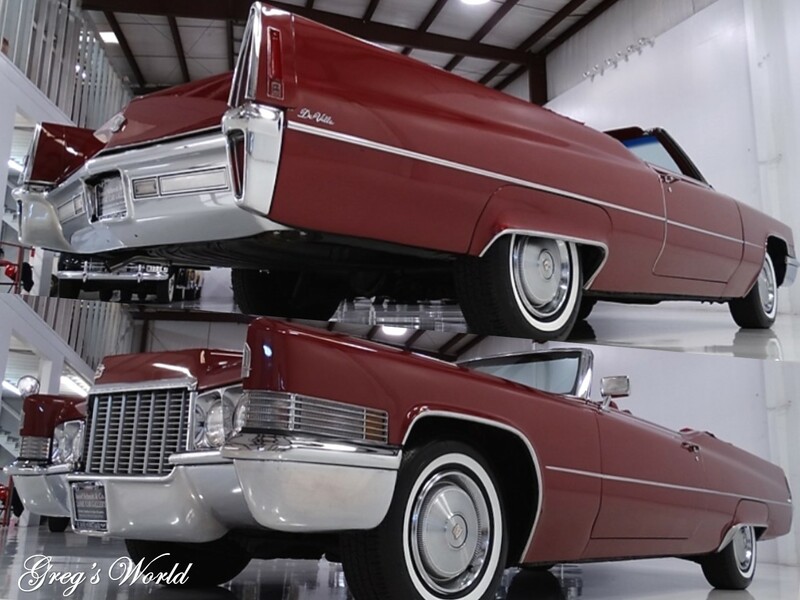 The brand had absolutely no interest comparing itself to European brands simply because the European brands were taking notes from Cadillac success! 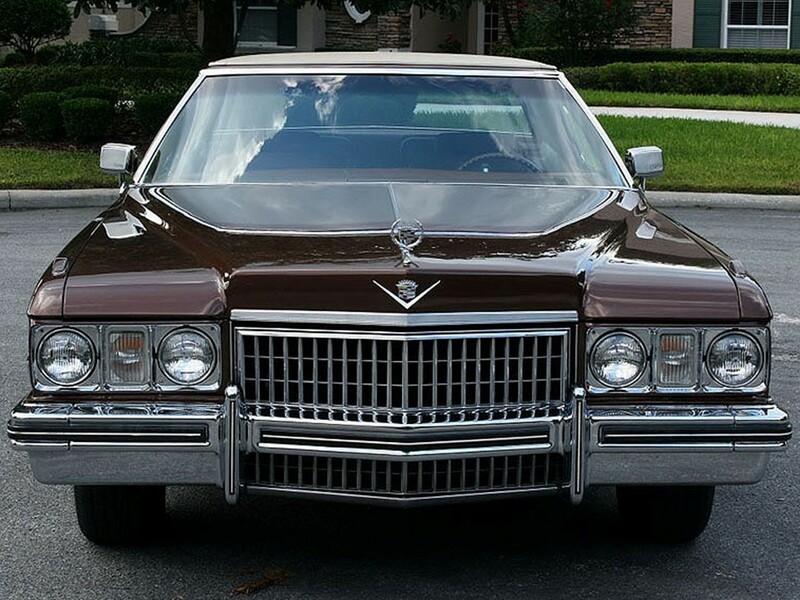 The Cadillac name was synonymous with luxury, prestige, and quality. 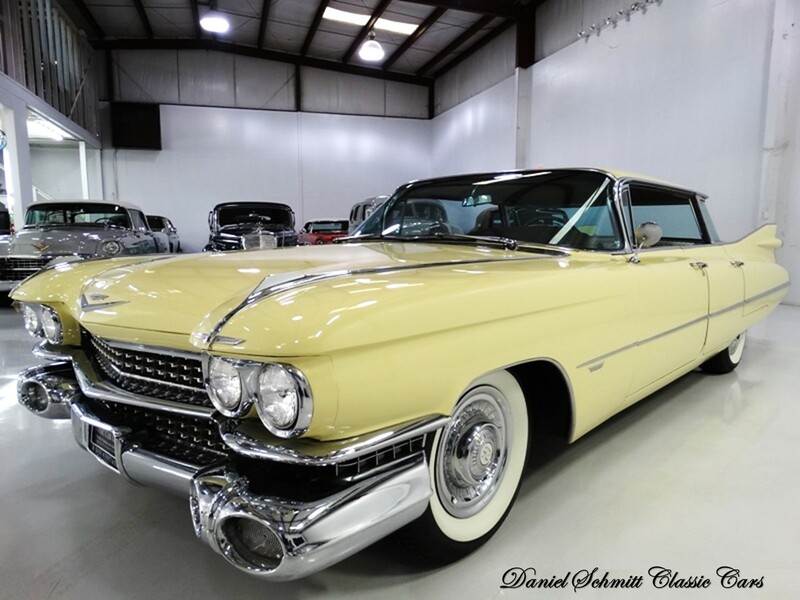 The association was that of superlative status such as the Cadillac of appliances…the Cadillac of electronics; this meant the product or service was the best in its industry. 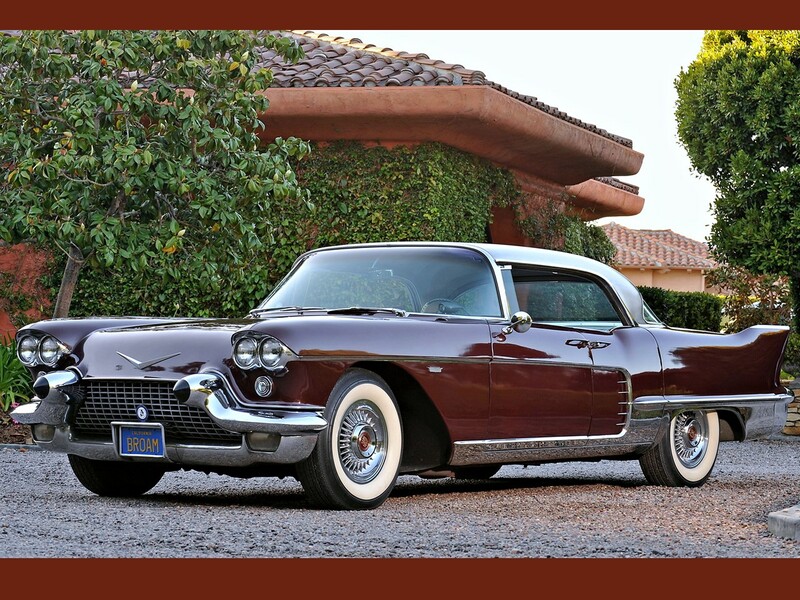 And of course…the Cadillac of automobiles was the one and only “Standard of the World.” It was everyone’s dream car…the envy of the driveway. 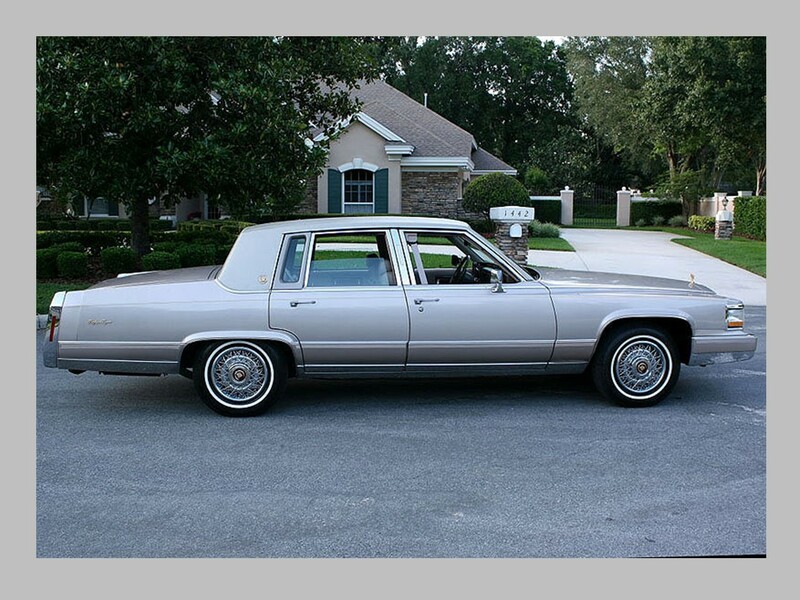 The mere sight of a big, shiny, classy Cadillac sent shock waves throughout the entire automotive industry. 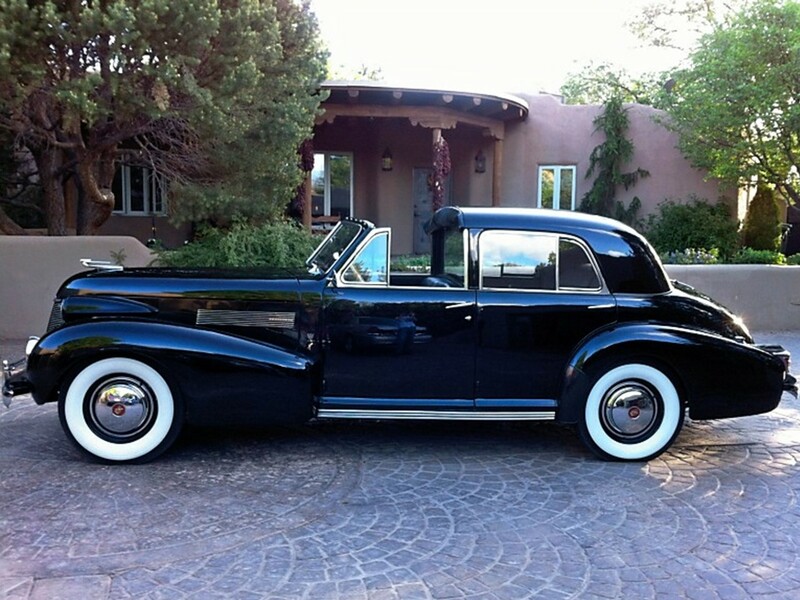 The exclusivity and supremacy made quite a statement about its owner. 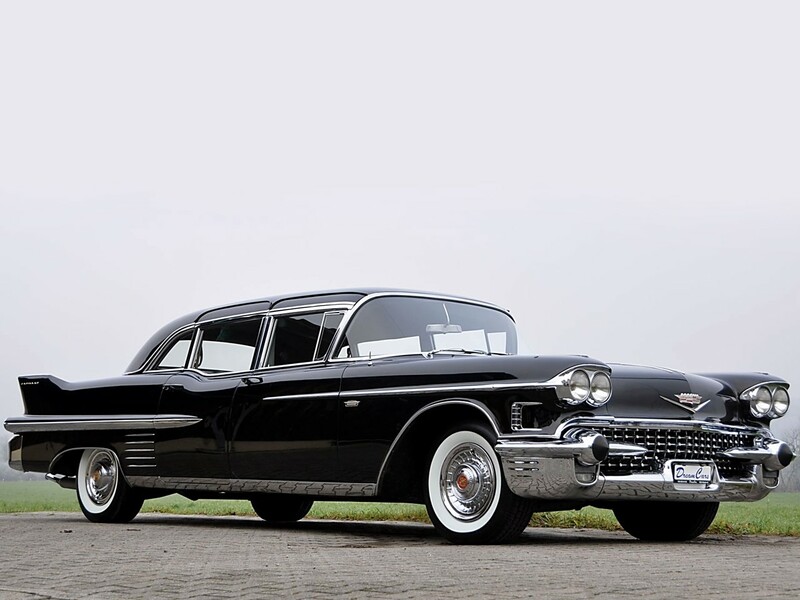 A Cadillac was a supreme achievement in motoring…I used to polish mine for hours upon end to a glassy mirror-like reflection that was so shiny, my girlfriends used to apply their make-up using my Cadillacs as a mirror! Those were the good old days. 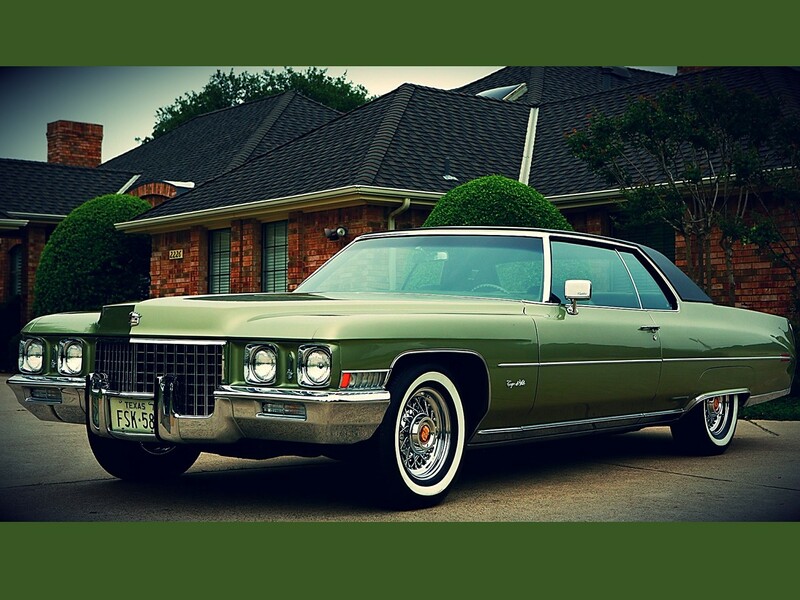 Once seated behind the wheel…a turn of the ignition key brought the powerful V8 engine to life…it didn’t roar its existence – it whispered its presence. 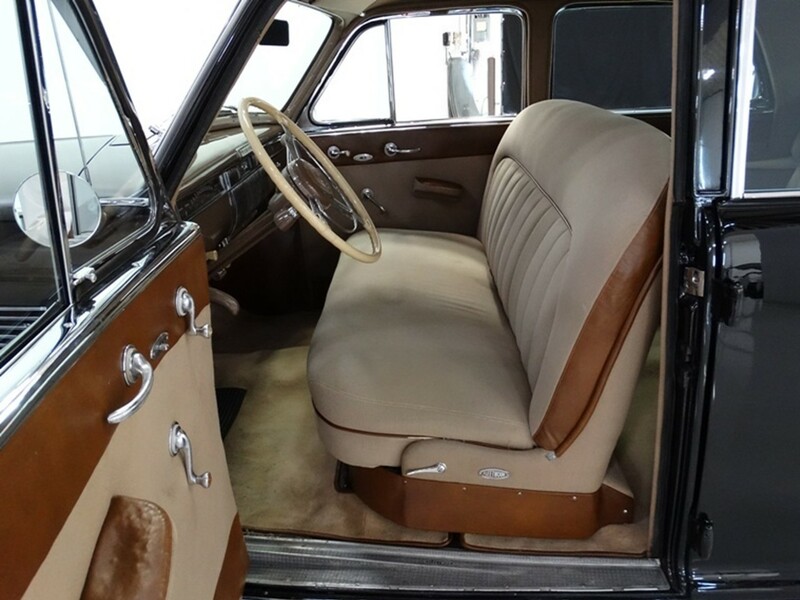 The transmission engaged imperceptibly…the steering was light as a feather…I could turn the steering wheel with one finger action. 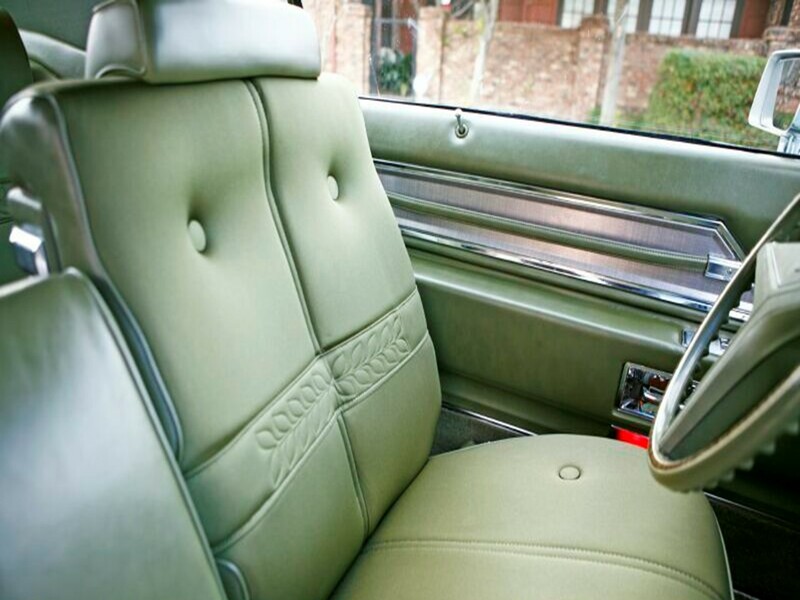 Not many truly understand this automobile’s illustrious heritage. 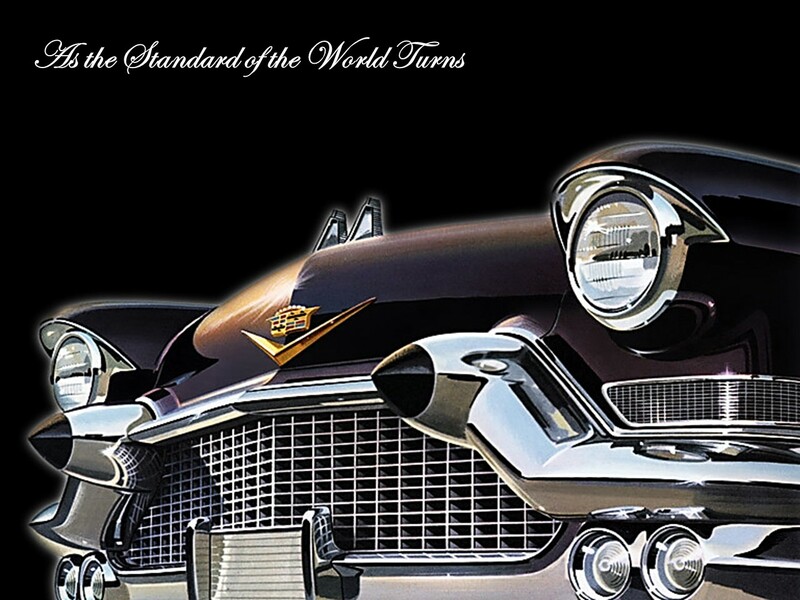 Let’s take a look into the history of the “Standard of the World.” The brand was established in 1899 as The Detroit Auto Company. 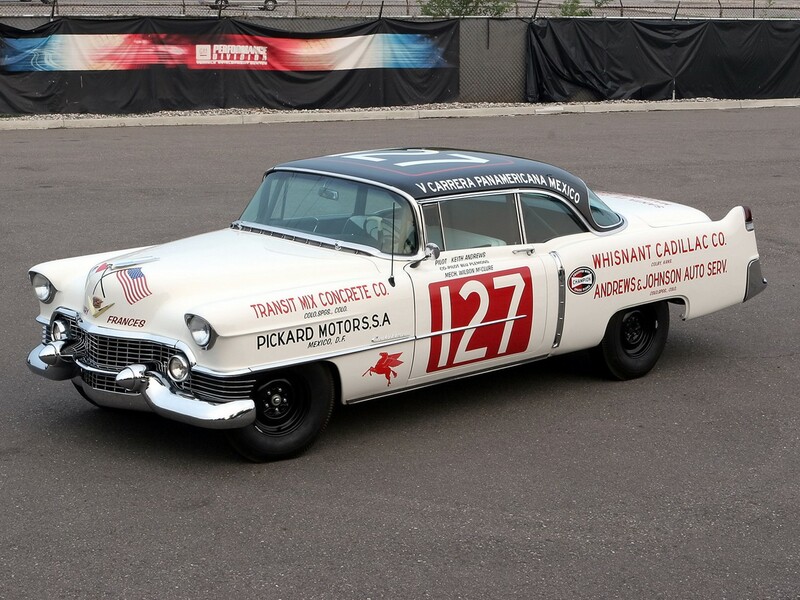 It was the first venture of its type in Detroit. It was struggling to survive; the company floundered and was dissolved in January 1901 after only 20 vehicles were built. The company was reorganized on November 20, 1901 as The Henry Ford Company. Henry ran the company for three weeks then resigned to move on to other endeavors. Henry Martyn Leland, a reserved traditional entrepreneur, reorganized the venture and the company was renamed after Antoine de la Mothe Cadillac, the founder of the city of Detroit. 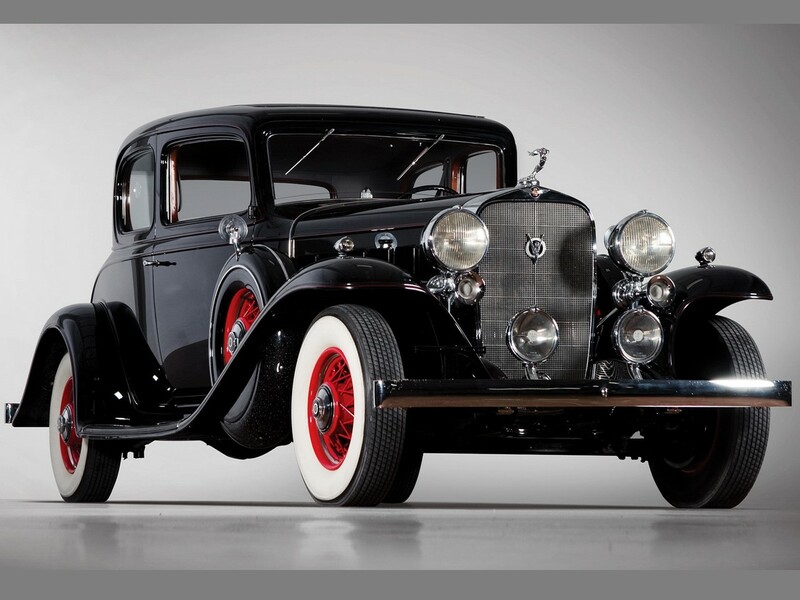 The Cadillac Model A was introduced in 1903. 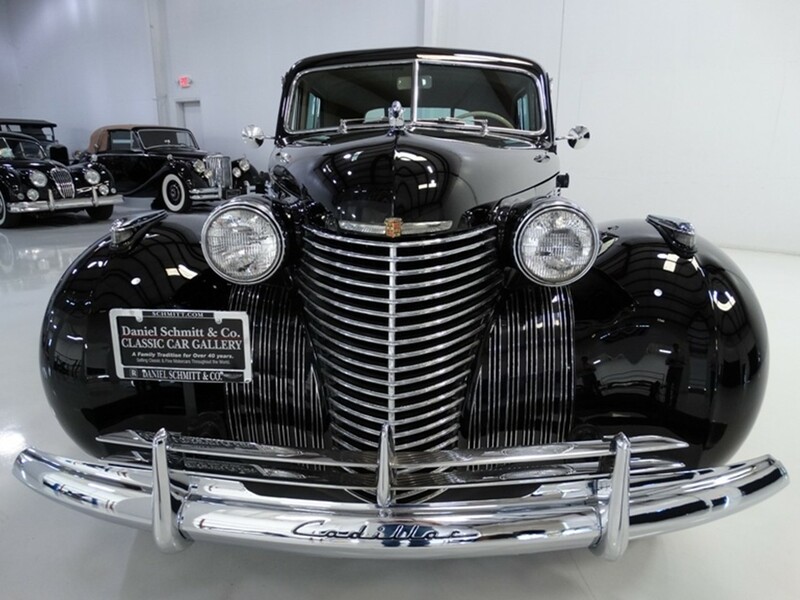 Fisher Body, the coachbuilder for GM was founded in 1908 by Fred and Charles Fisher of the famous Fisher brothers in Detroit, Michigan. It all began here in Ohio in the beautiful area of Norwalk in the late 1800s building horse-drawn carriages. The transition became necessary because the internal combustion engine and its torque created way too much vibration and the bodies of the horse-drawn units couldn’t withstand the forces. 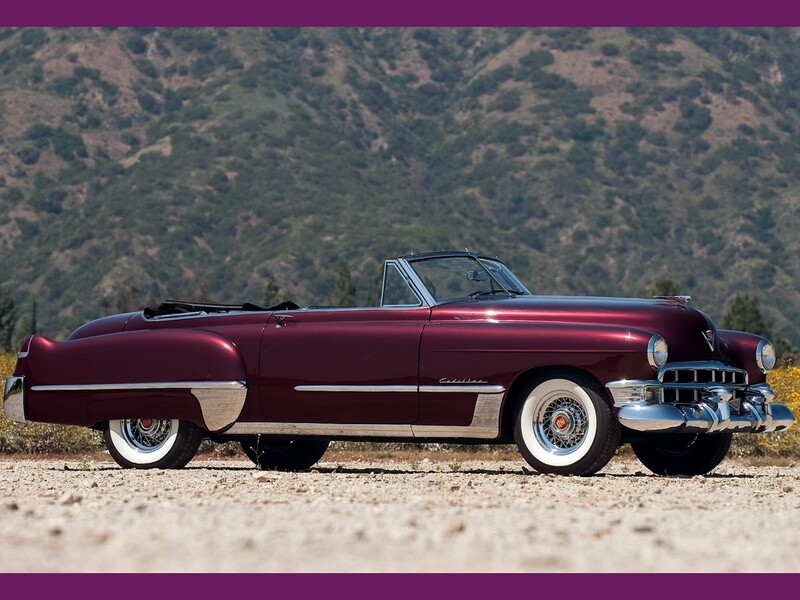 Before Fisher Body became a company, the Fisher brothers built bodies for Cadillac. 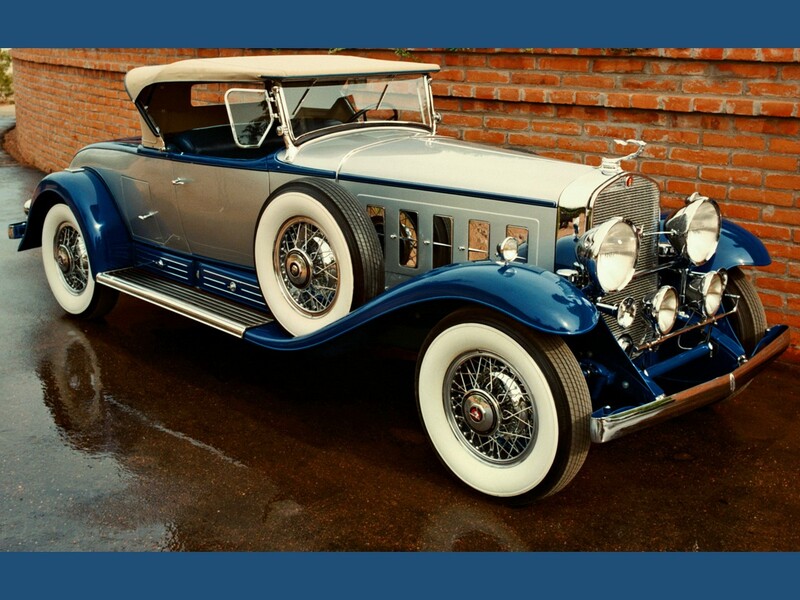 By 1910, Fisher Body became the supplier of all closed bodies for Cadillac. 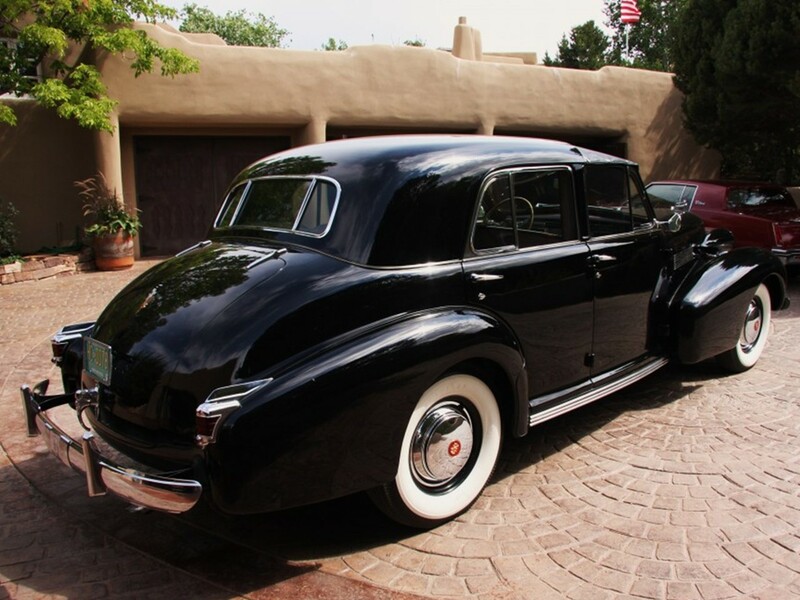 They also built bodies for Buick, Abbot, Chevrolet, Oldsmobile, Packard, Studebaker…even Ford. 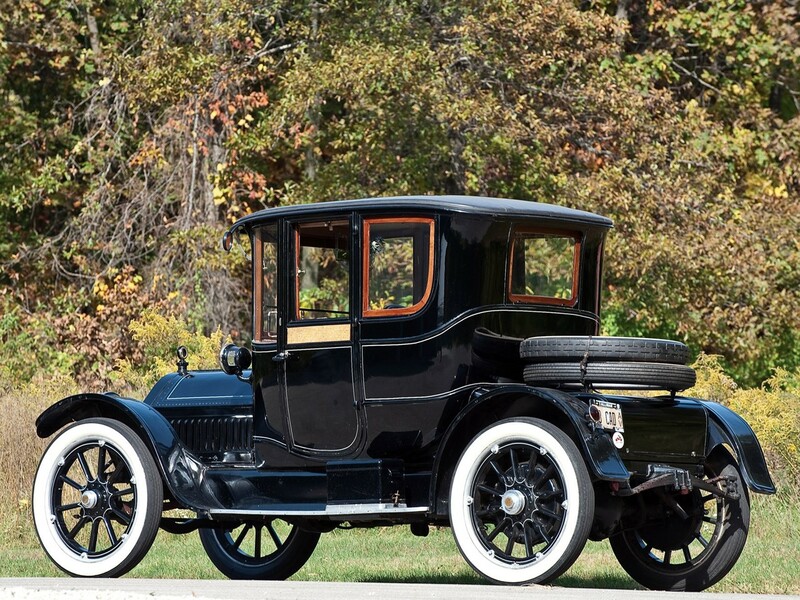 By 1913 Fisher Body had the capacity to build 100,000 bodies per year. This success caused the company to expand into Canada right across the lake from Detroit. 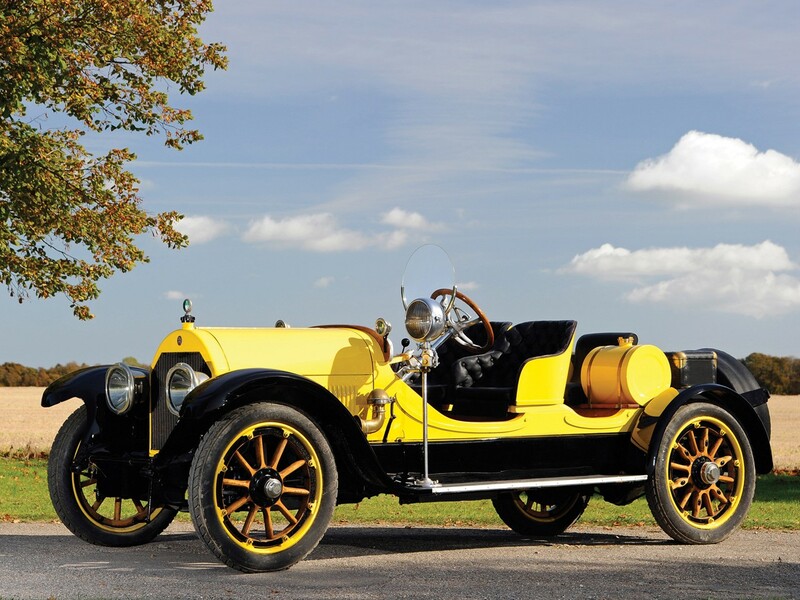 By 1914 they grew becoming the world’s largest manufacturer of automobile bodies. 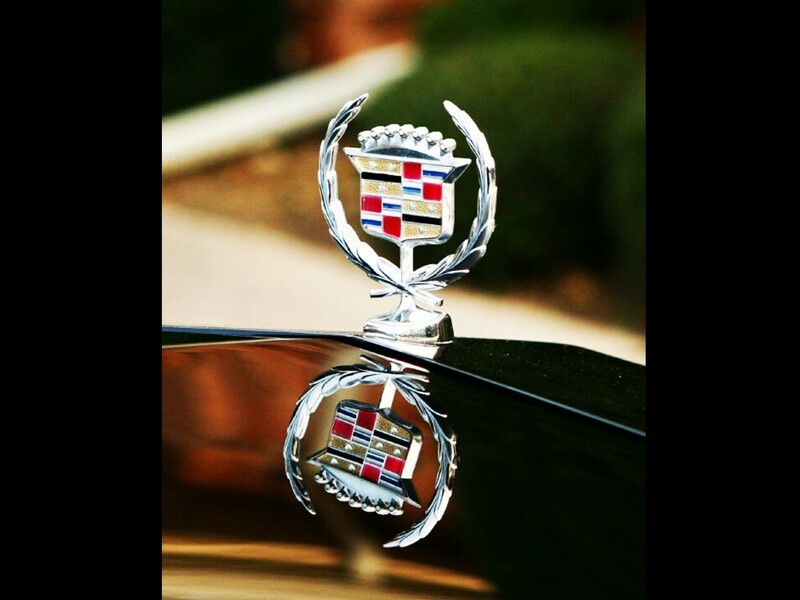 In 1916 Larry Fisher joined the company placing emphasis on the Cadillac brand. He wanted exclusivity for the brand. 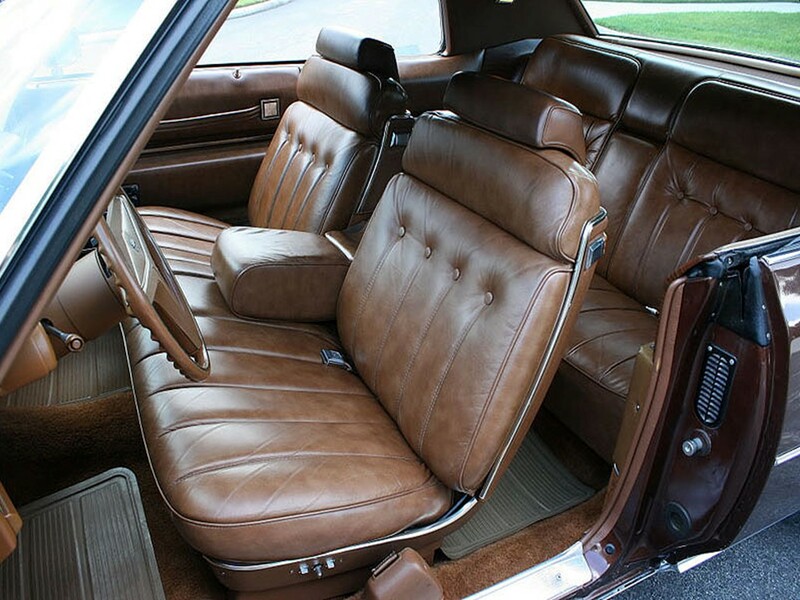 Fisher Body developed the art of interchangeability of wood body parts. They created precision wood working tools, thus, increasing production output. 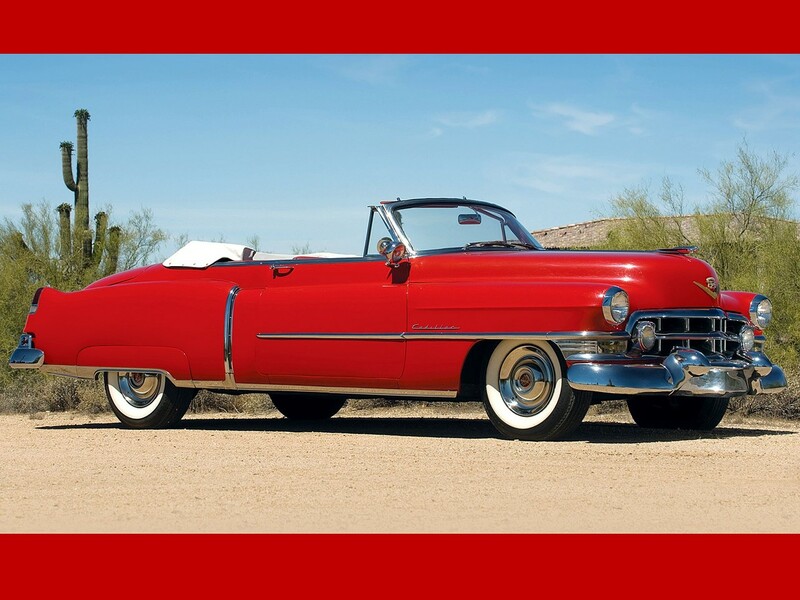 The company became The Fisher Body Corporation in 1916 with the capacity to build 370,000 bodies per year. Larry Fisher became general manager from 1925 until 1934. 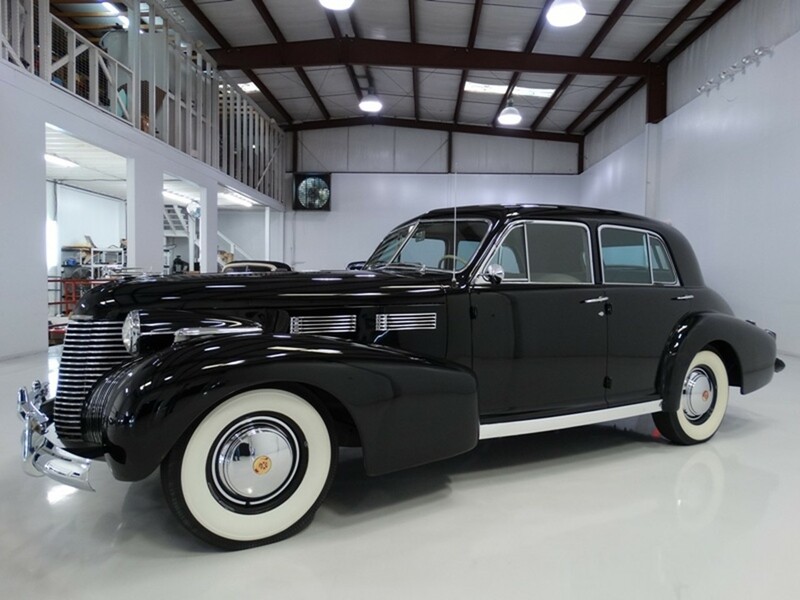 He oversaw the purchase of The Fleetwood Metal Body Company of Fleetwood, Pennsylvania in 1925. 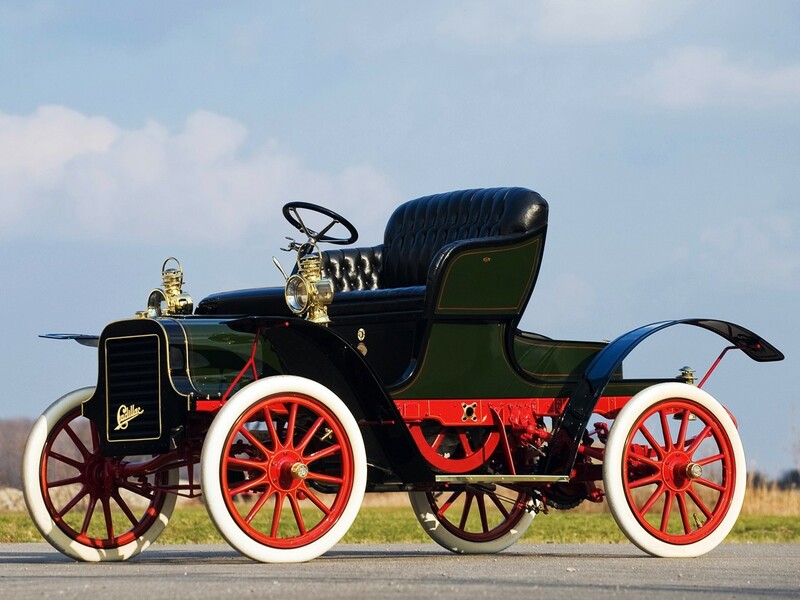 Cadillac was the first American car in 1914 to introduce a V-type water-cooled 8 cylinder engine and was also the first to use a thermostatic controlled cooling system. In 1920 the Clark Avenue plant was built in Detroit, Michigan and was the most modern facility in the entire industry. 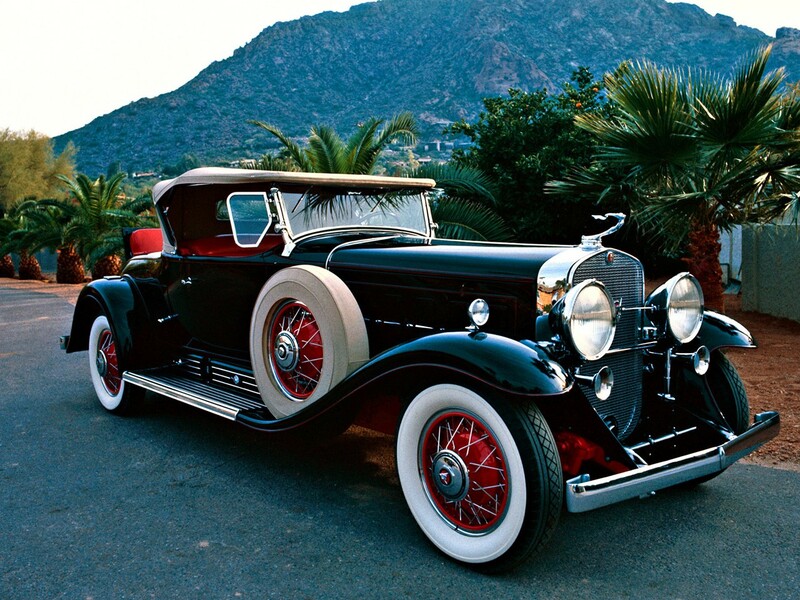 In 1922 Cadillac introduced a thermostatic carburetor control for efficiency. 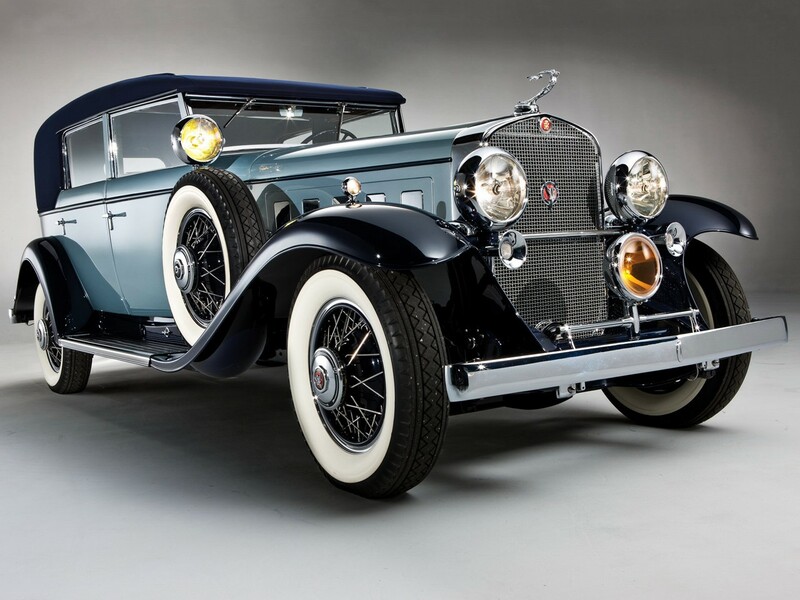 For the 1923 model year Cadillac was the first in the industry to build the inherently balanced V8 engine with a compensated crankshaft…and a four-wheel braking system. 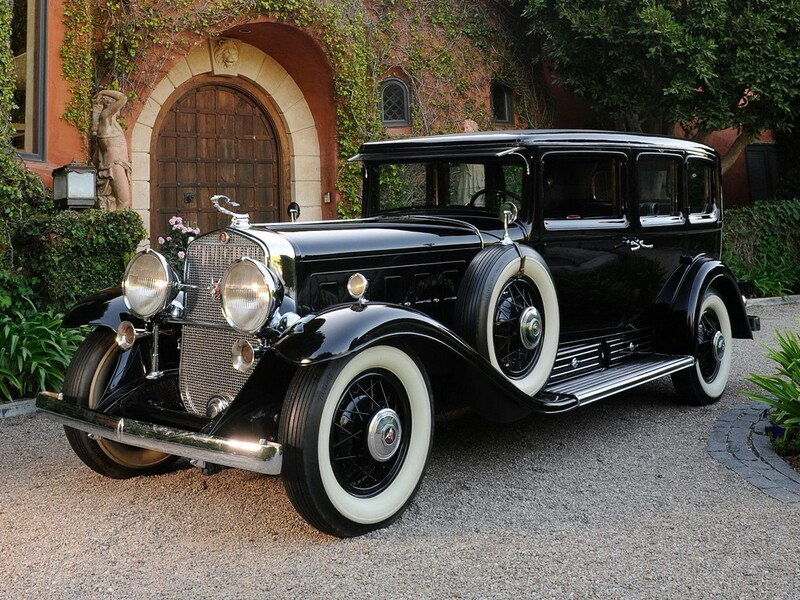 Cadillac was the first in the industry in 1926 to offer a comprehensive service policy on a nationwide basis. 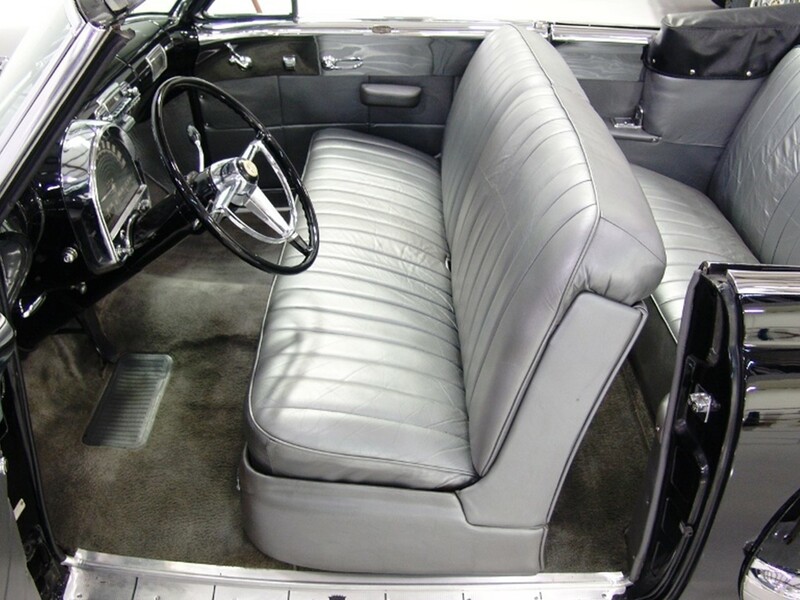 In 1928 Cadillac developed the clashless synchromesh transmission that eliminated the chafing noise and friction of gear shifting, thus, laying the foundation for the first fully automatic transmission called the Hydra-Matic in 1941 which eliminated the clutch and manual shifting. 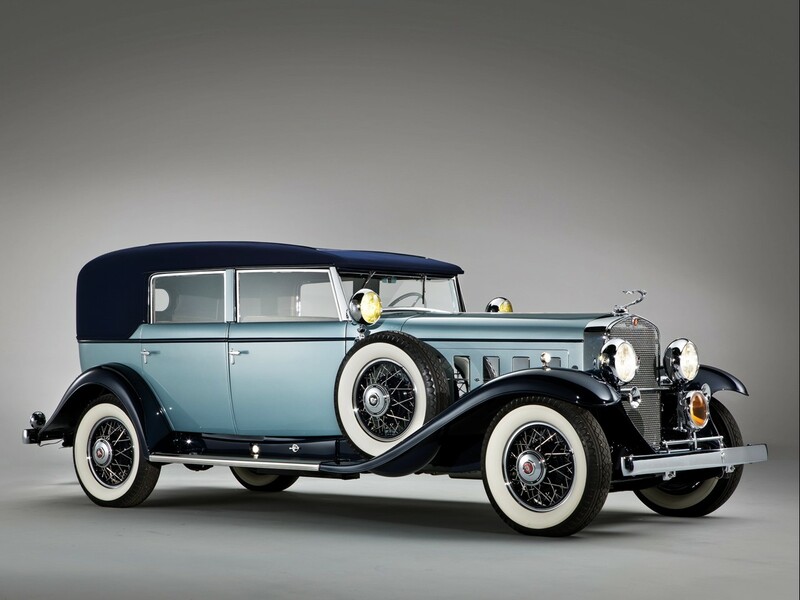 In 1929 chrome plated accessories were standard. After the stock market crash in the 1920s with The Great Depression, GM never lost money due to its diversity under the leadership of Larry Fisher. 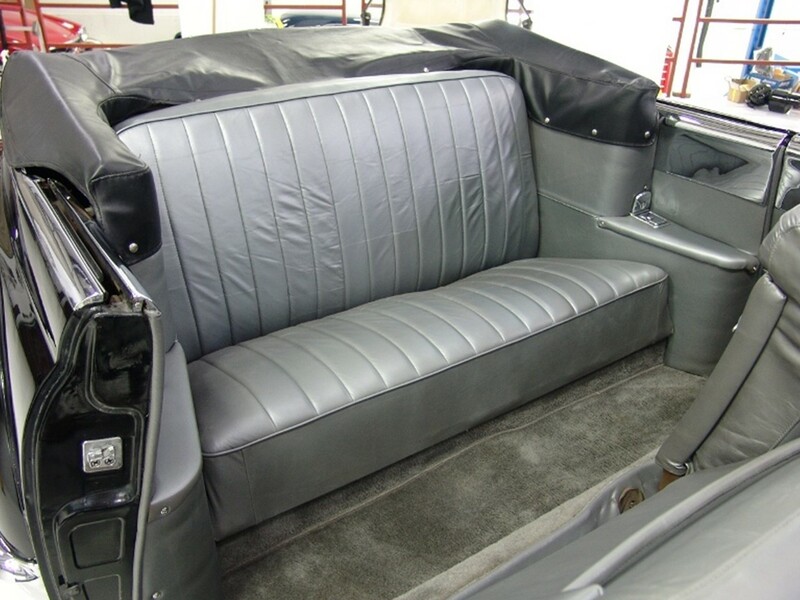 Fisher Body was an innovator in the industry. 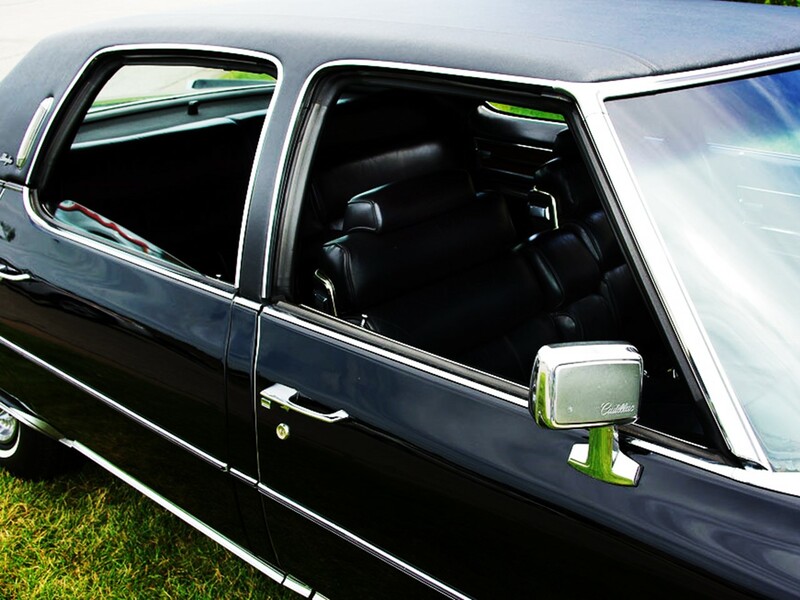 They introduced car window regulators to raise and lower windows, closed bodies offering year round comfort wet or dry…rain or snow, and many other features automakers take for granted today. The Fishers turned a $1,000 investment from Fred’s sister into a multi-million dollar company a few years later. 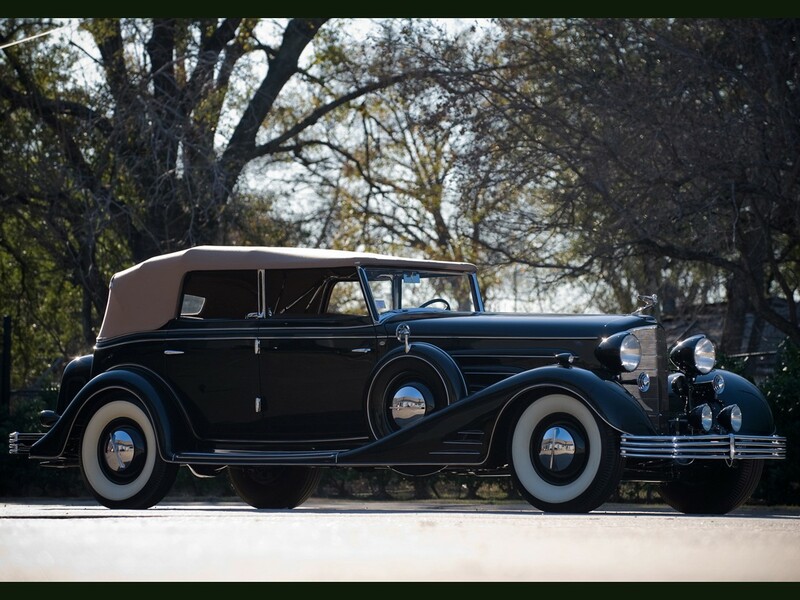 In 1919 General Motors paid $27.6 Million USD for 60 percent of Fisher Body, and in 1926 GM paid another $208 Million USD for the remaining 40 percent of Fisher Body. 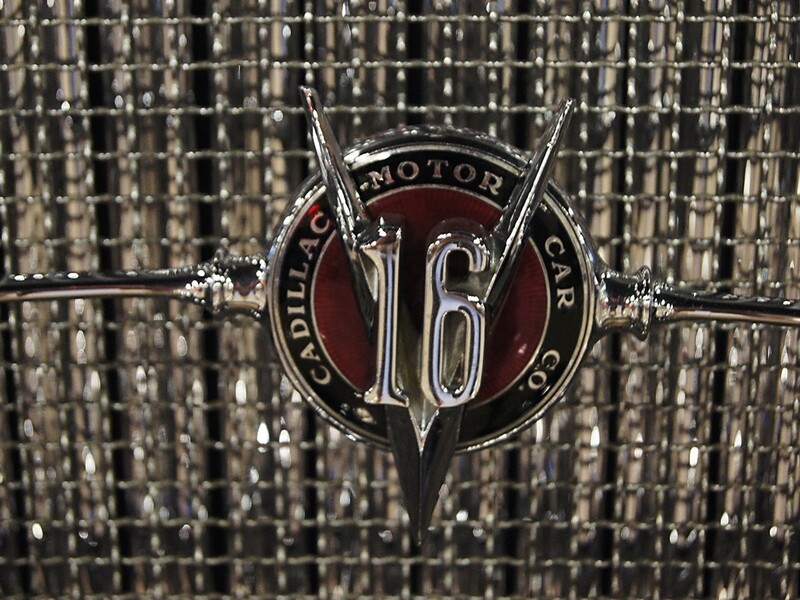 And in case you didn’t know…Cadillac was a pioneer in the automotive industry. 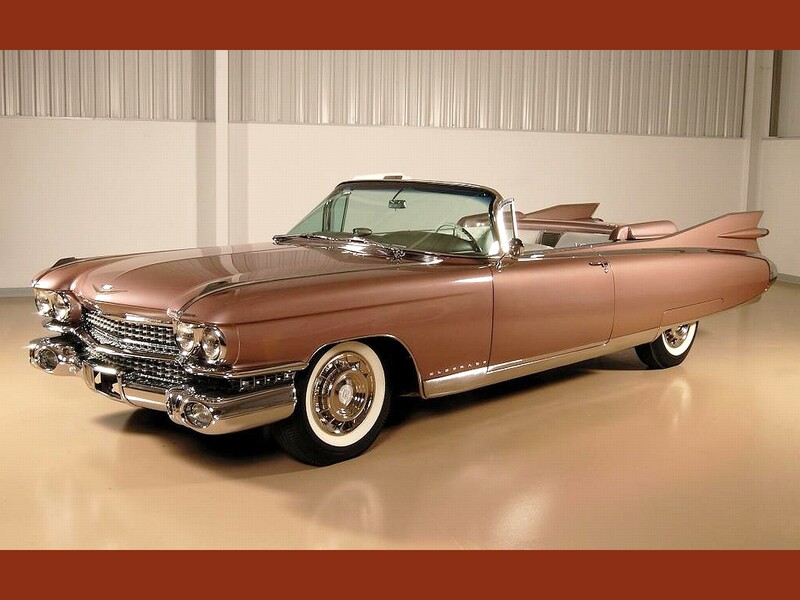 Cadillac luxury and elegance are prominent attributes but innovation and engineering prowess were paramount. 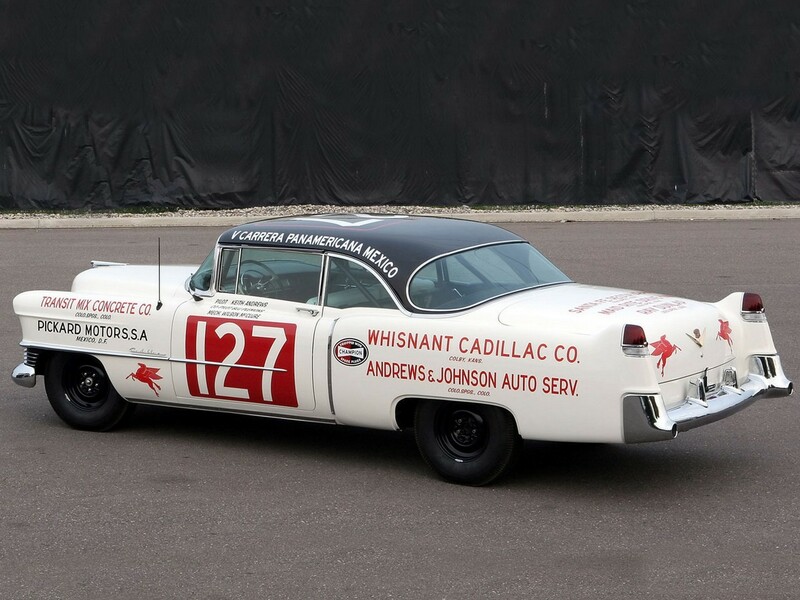 Cadillac introduced many firsts to the automotive industry. It is the only ‘foreign’ automobile to win the coveted Dewar Trophy from the Royal Automobile Club of Great Britain…not once…but twice. 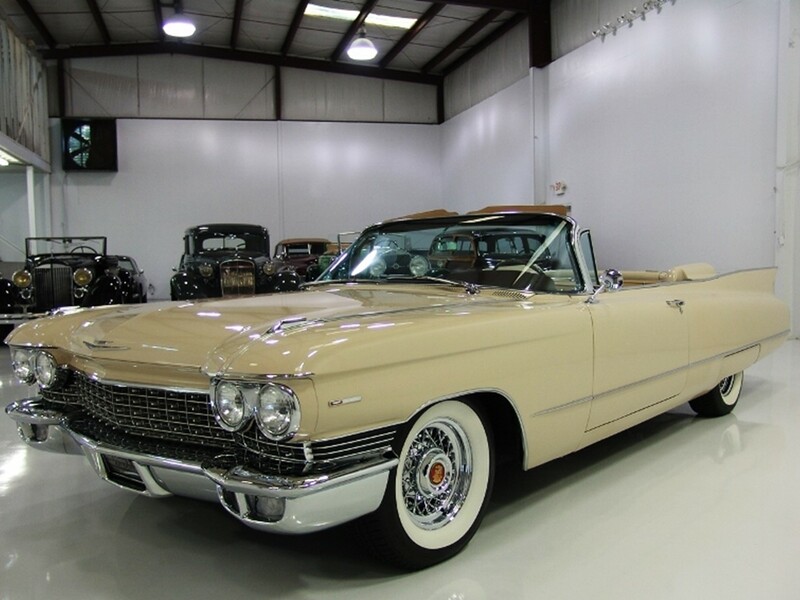 In 1908 Cadillac won for introducing standardization and interchangeability of parts. 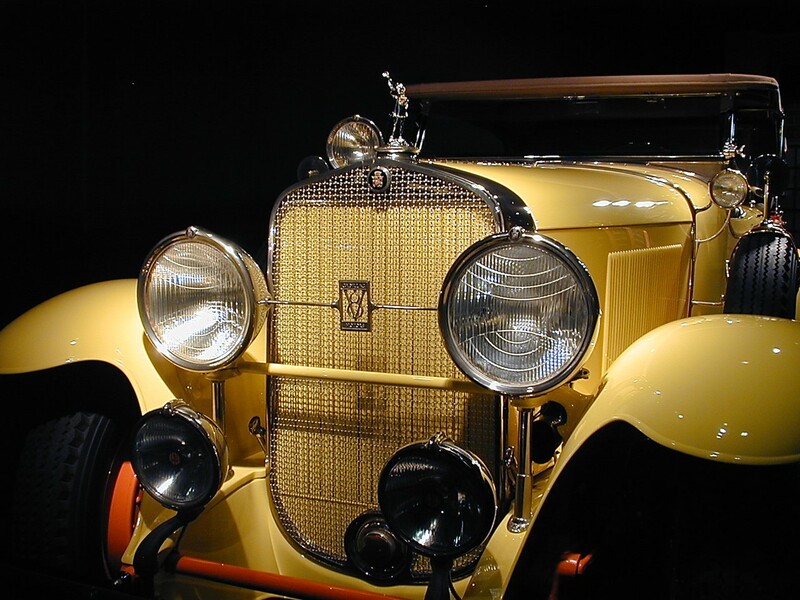 In 1912 it won for introducing the Delco electric lighting and ignition system. 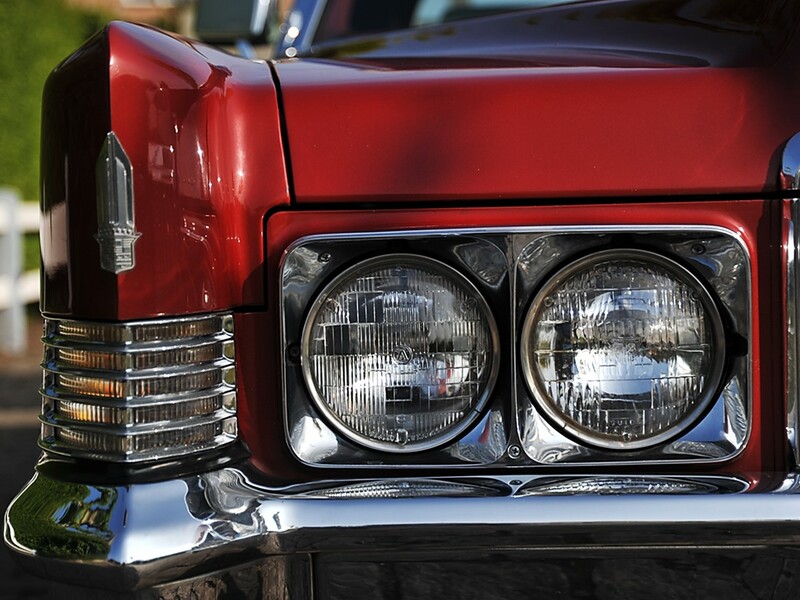 In 1905 Cadillac was the first to offer a multi-cylinder engine. 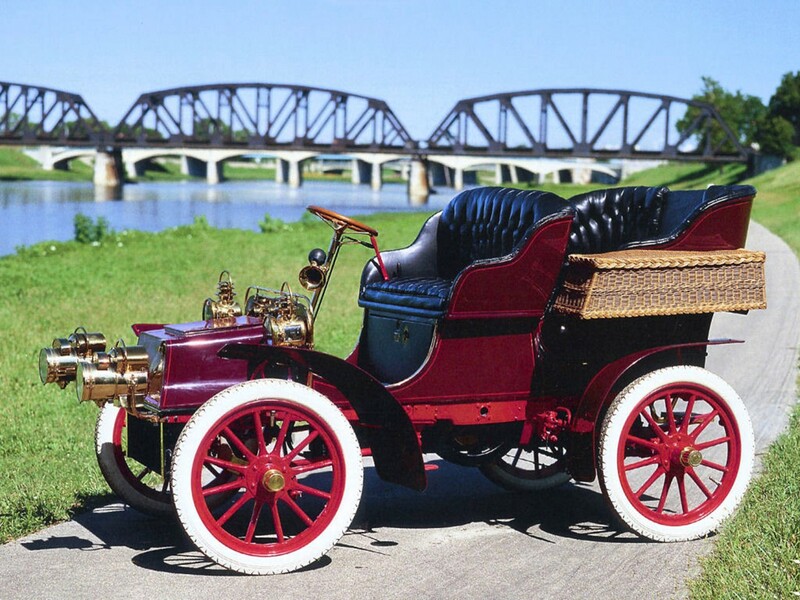 In 1910 it was the first auto manufacturer to offer closed bodies as standard equipment. 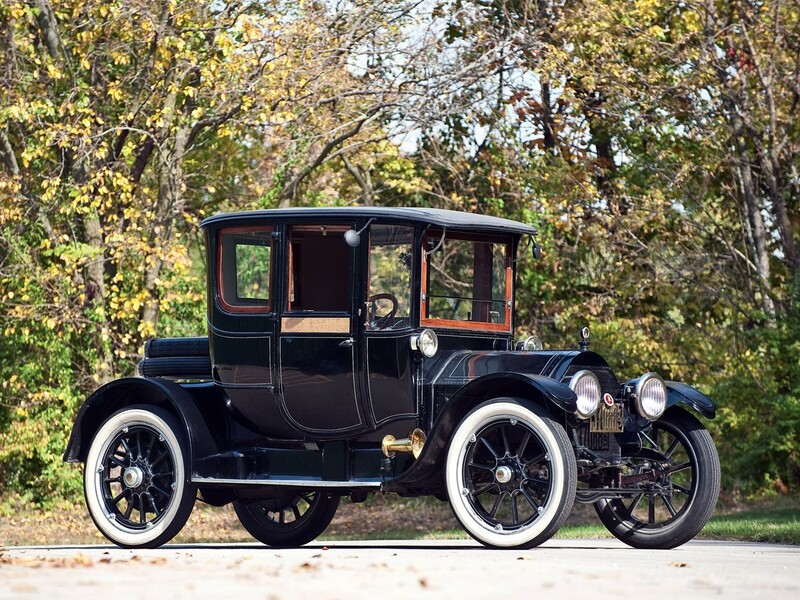 For the 1911 model year the illustrious Fleetwood hand-crafted coachwork made its grand entrance. 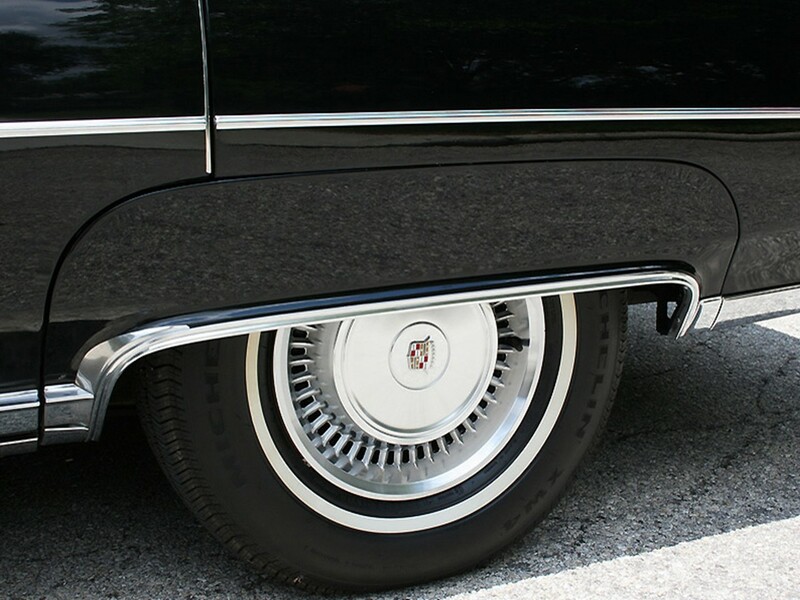 Next…enter Harley Earl. 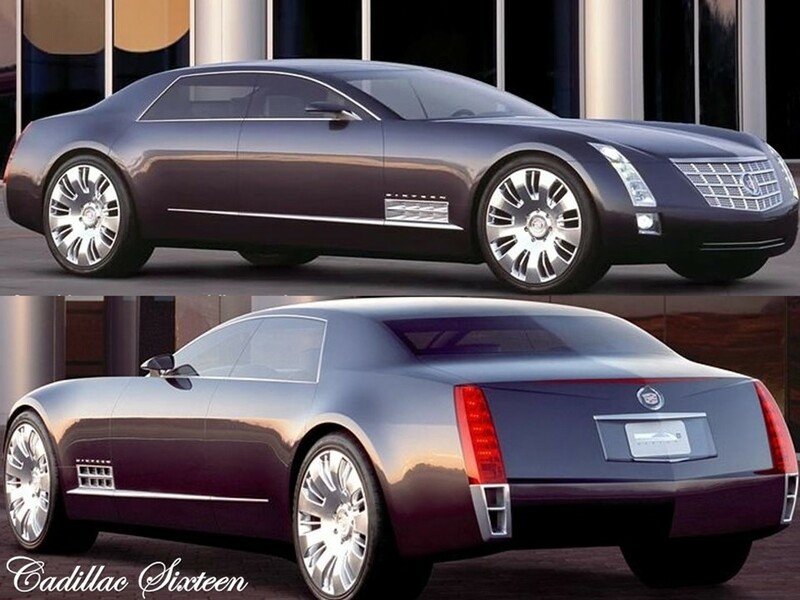 He created Cadillac works of art. Harley Earl initiated the process of freeform sketching and hand sculpture techniques. 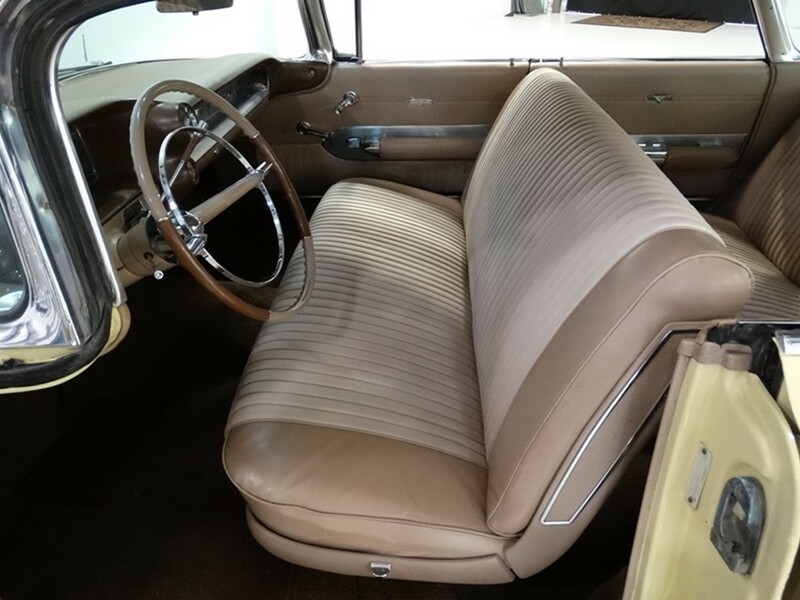 His “concept car” theory is still used today for the design process. 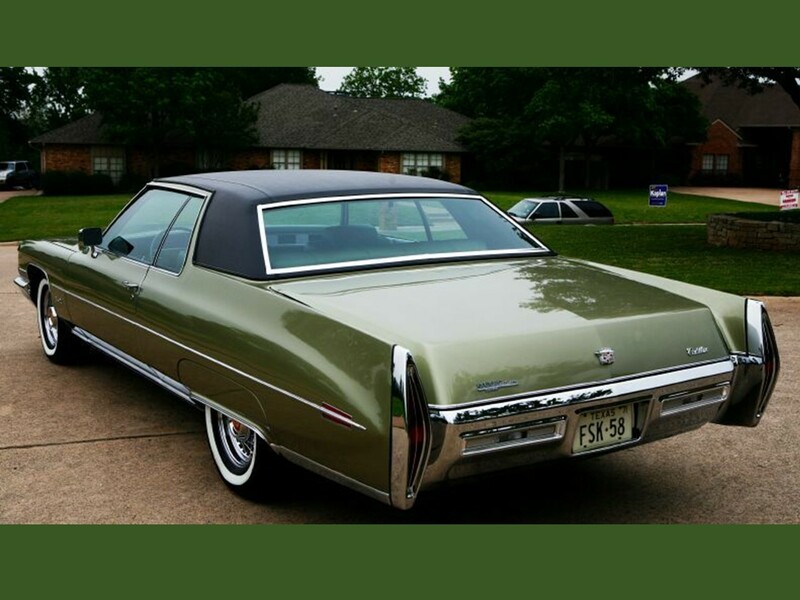 He was discovered by Larry Fisher who was intrigued by Earl’s concept car and clay model processes. 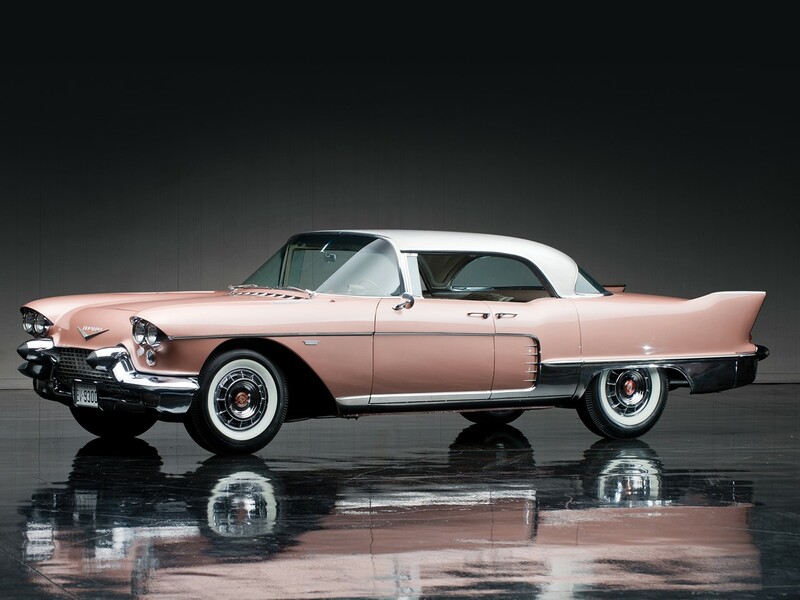 Harley Earl’s methodology was far ahead of its time. 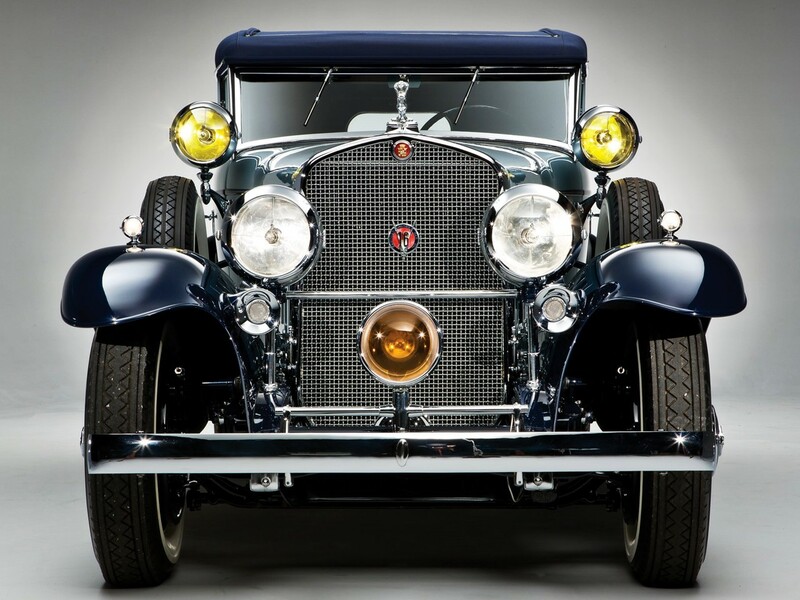 The comradery began in 1927 when Fisher commissioned Harley Earl to design the 1927 LaSalle which was to be a companion entry-level car for Cadillac. 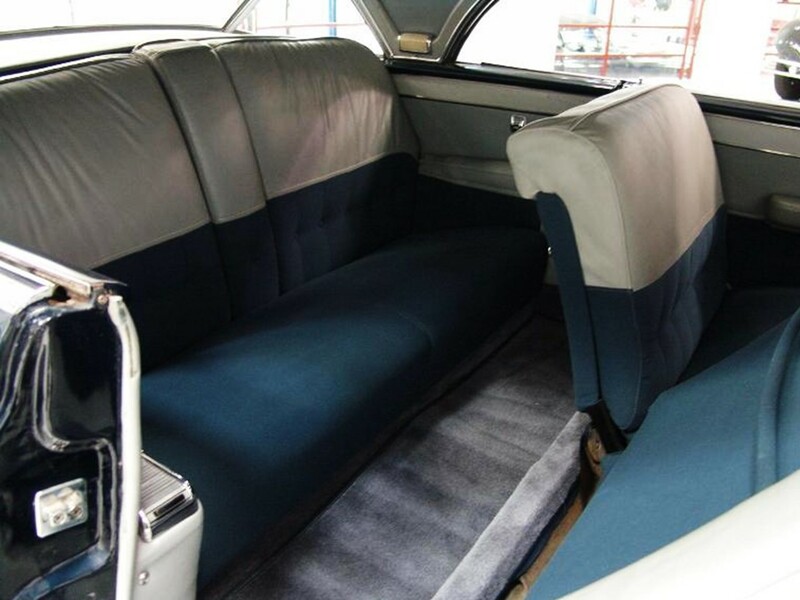 Harley Earl was named the first director of GM’s Art & Colour Section which was an in-house design studio and is an industry first, established December 15, 1935. Earl’s legendary techniques were a shock to conservatives at General Motors. 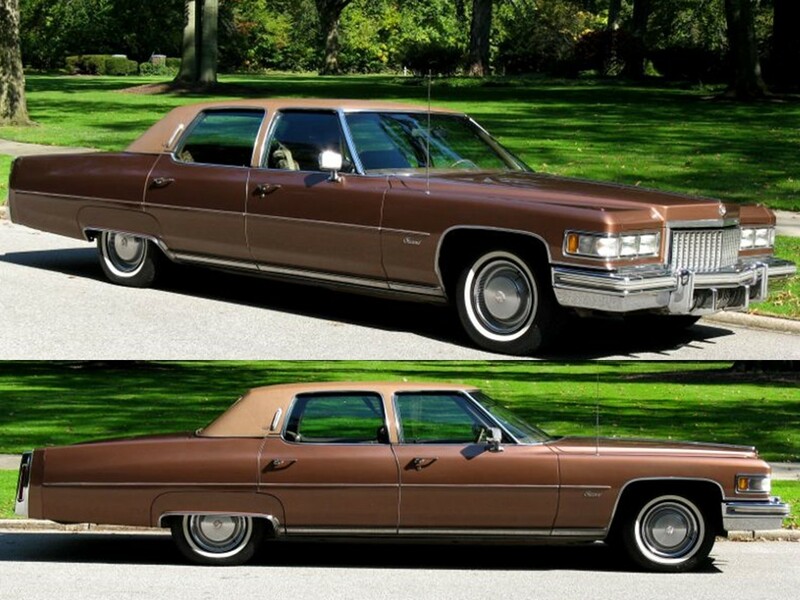 He brought luxurious style to Cadillac…just what Larry Fisher wanted. Before the Art & Colour Section, there really wasn’t a great importance to how an auto body looked. 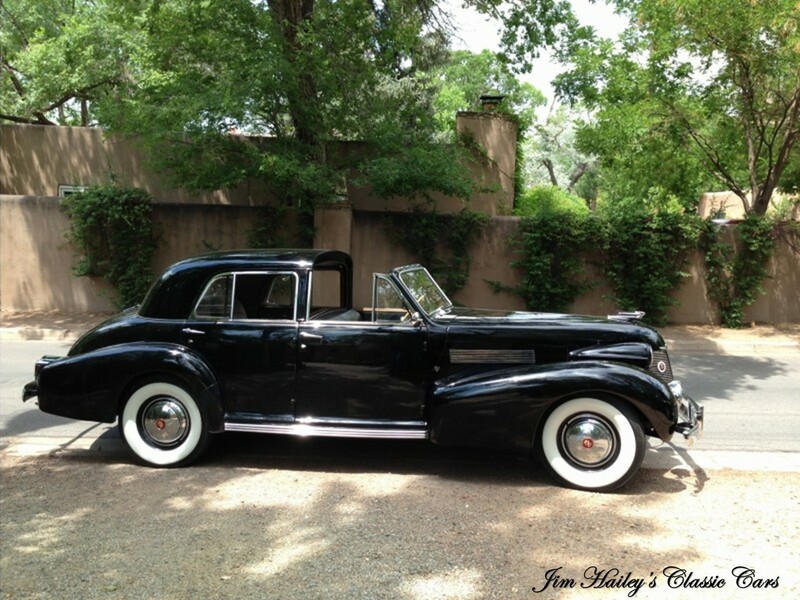 By 1937 The Art & Colour Section was renamed “The Styling Section” and Harley Earl was named vice president. This is the first time in automotive history that a designer became a VP of a large corporation. 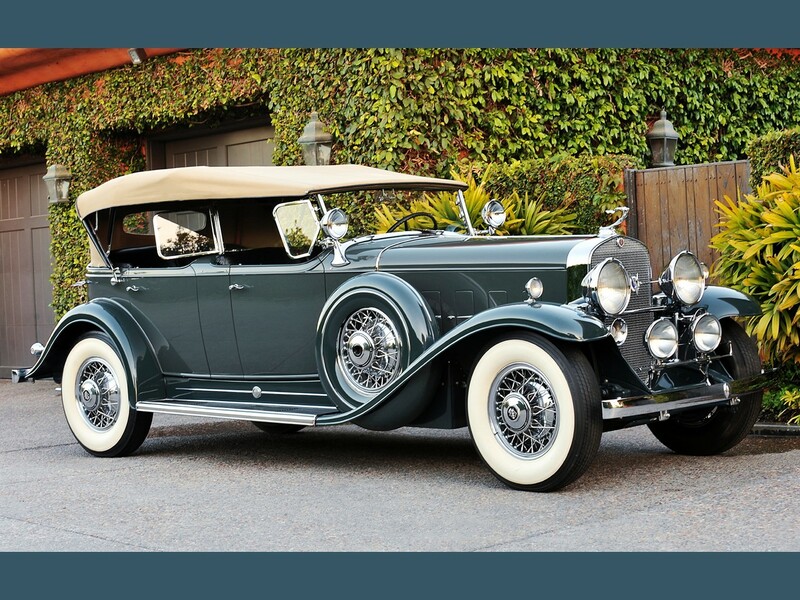 The big news was the ultimate automobile powerplants introduced in 1930. 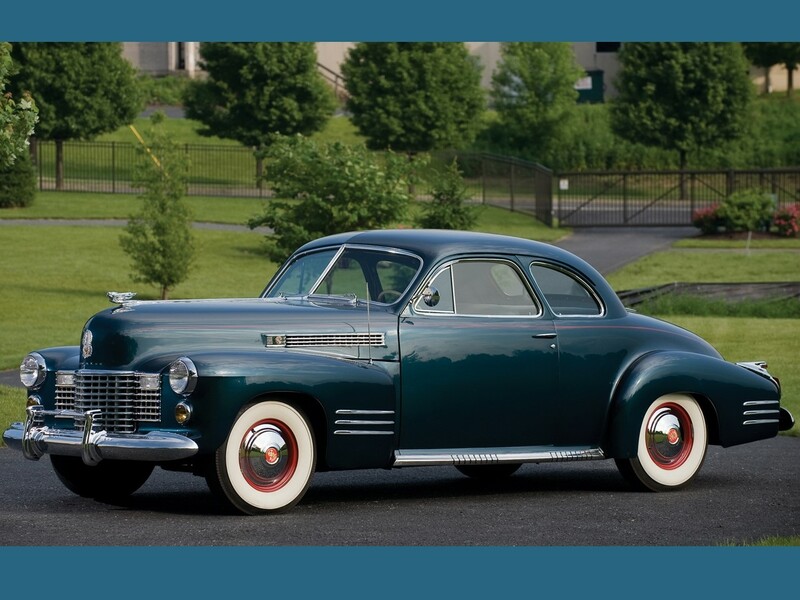 The massive 16 and 12 cylinder engines, both V-types…made Cadillac the first auto manufacturer to offer a complete line of multi-cylinder automobiles. 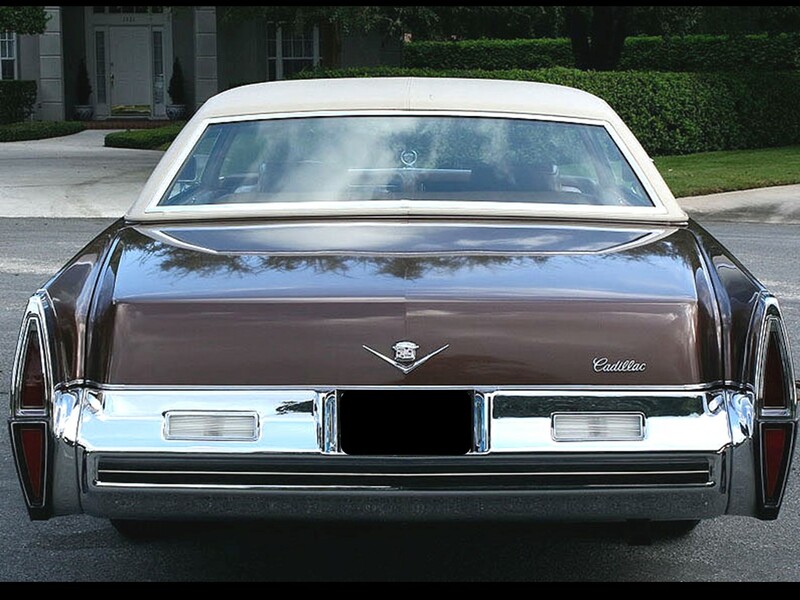 Cadillac introduced the hydraulic valve silencers the same year; Cadillac was the master builder for multi-cylinder engines. 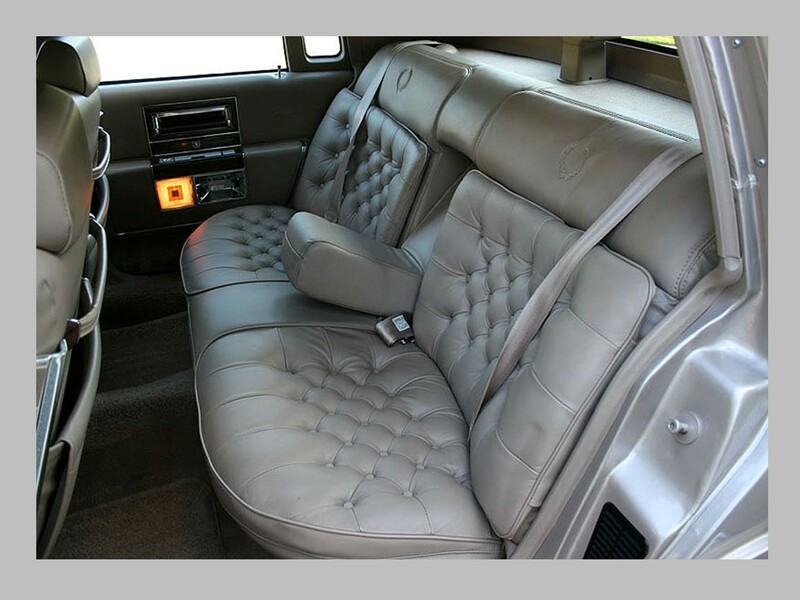 The glamour of a Cadillac was second to none. 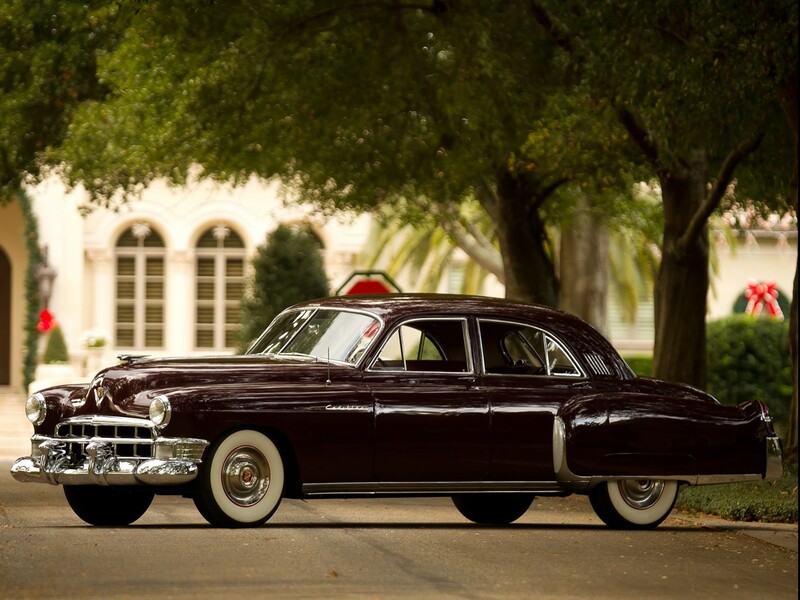 There was style…grace…and the poised dignity which was the hallmark of every Cadillac. 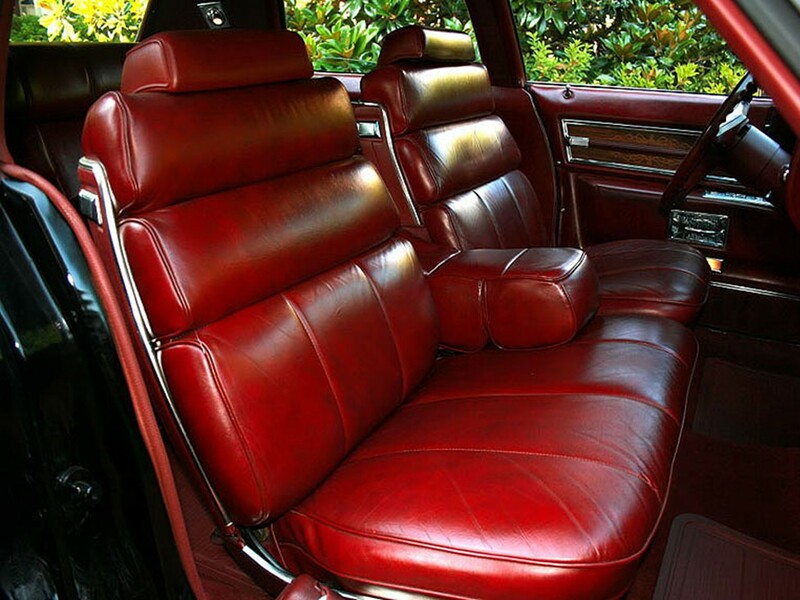 It used to be the luxury car enjoyed by more luxury car buyers than any other brand. 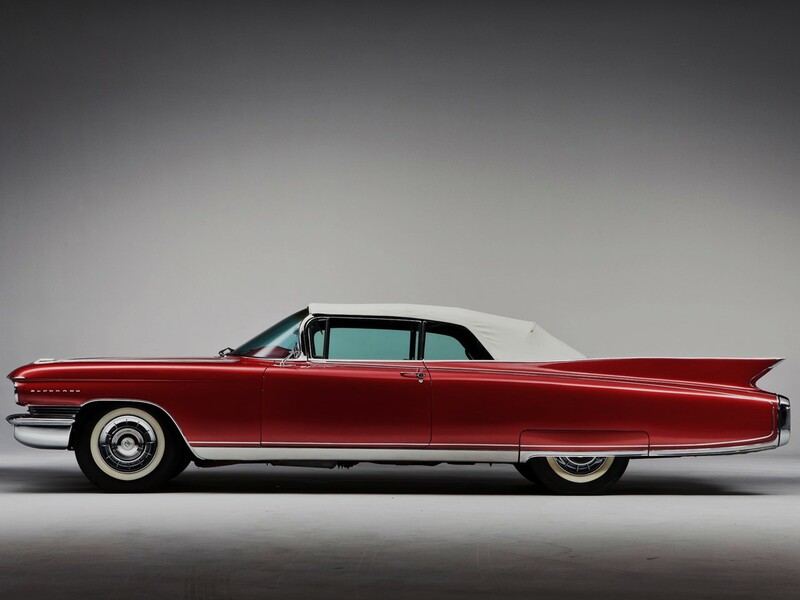 These resplendent automobiles were an ultra-exclusive realm of motoring majesty. Now…enter Bill Mitchell, a bright and talented advertising illustrator. 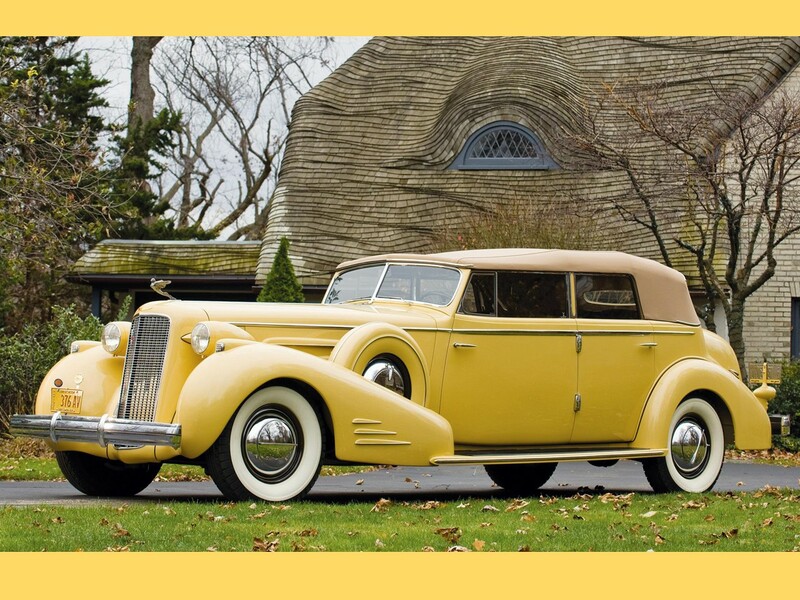 Harley Earl recruited him to join the GM Art & Colour Section in 1935. 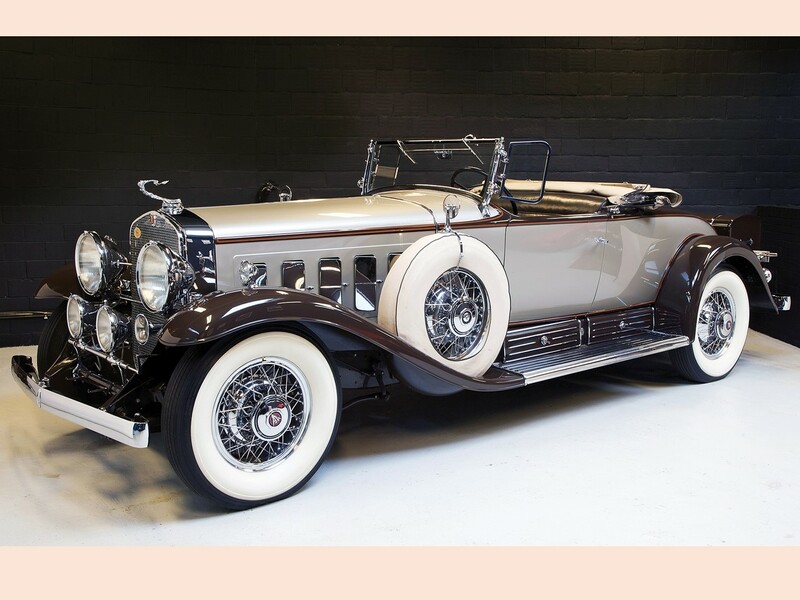 Bill Mitchell designed the fabulous Fleetwood Series Sixty-Special. 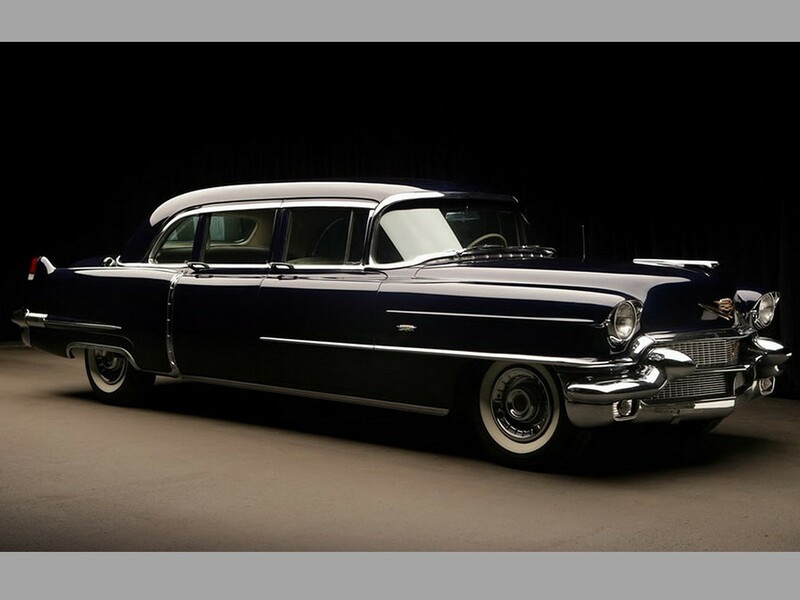 He influenced the design of over 72.5 million GM automobiles. 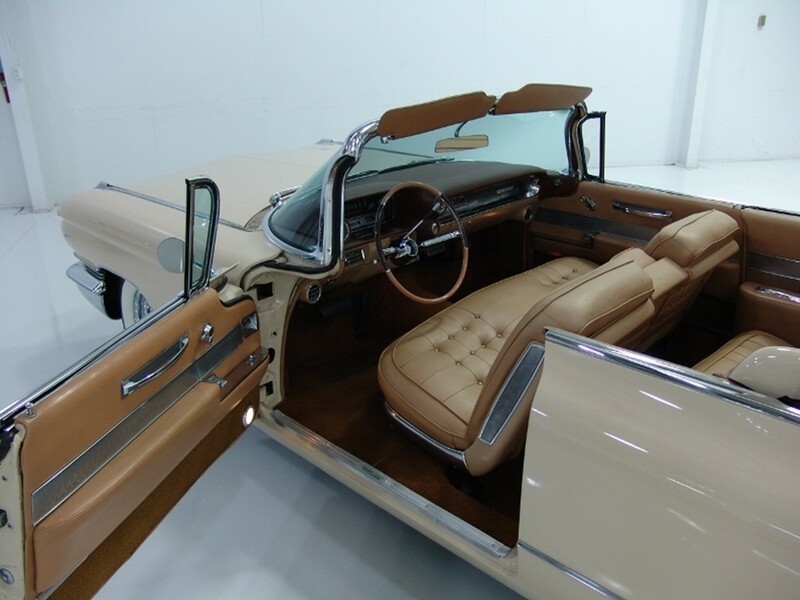 Some of his monumental designs include the 1955-1957 Chevy Bel Air, the 1961-1976 Corvette Stingray, the 1963 Buick Riviera, and the 1975-1979 Cadillac Seville. 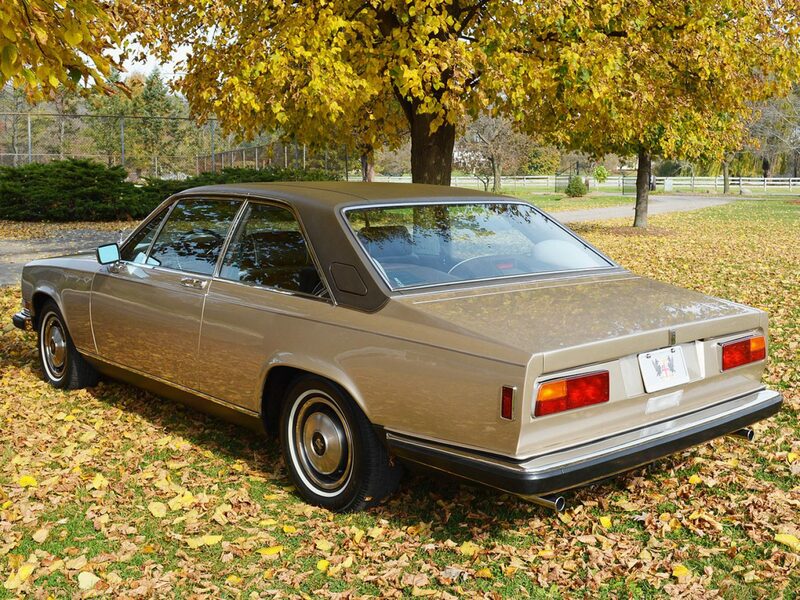 Bill Mitchell eventually became the VP of Design for GM. 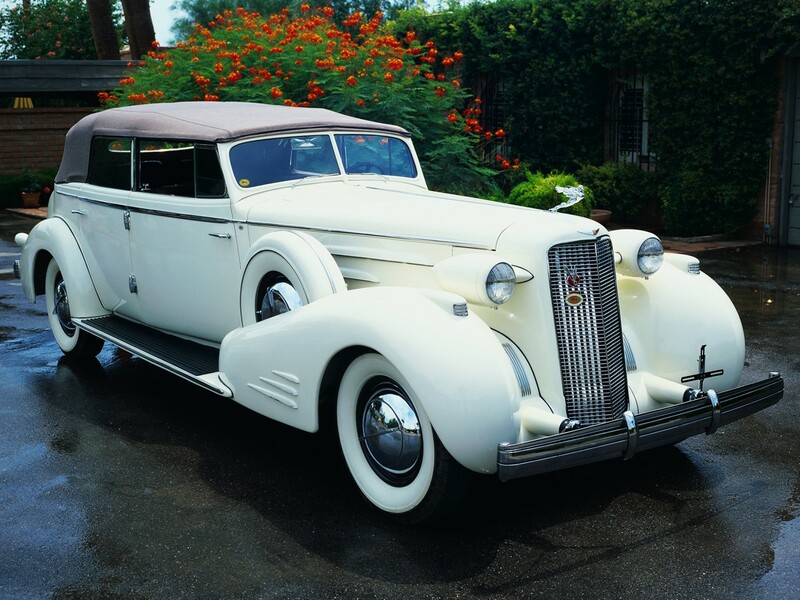 Beginning the 1934 model year, Cadillac was the first to begin stream lining the coachwork…the spare tire was now concealed within the body. 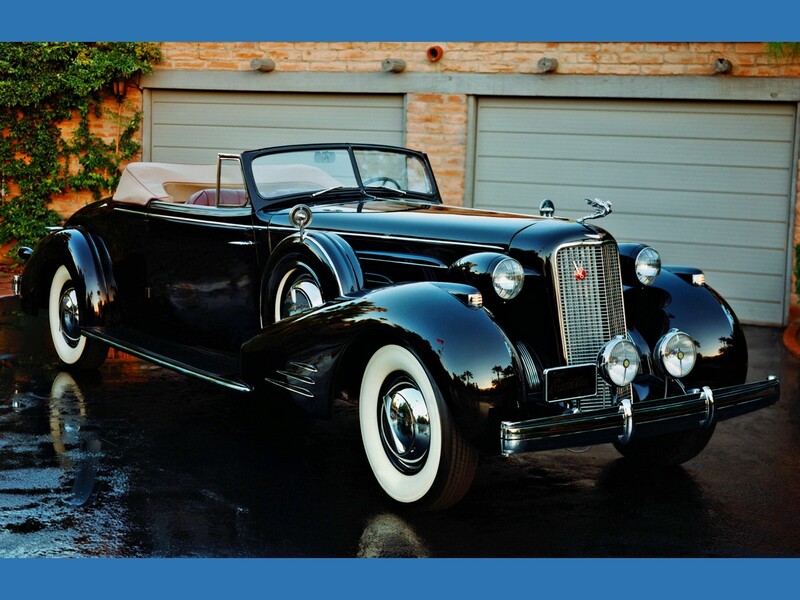 The 1936 model year is another important milestone year. 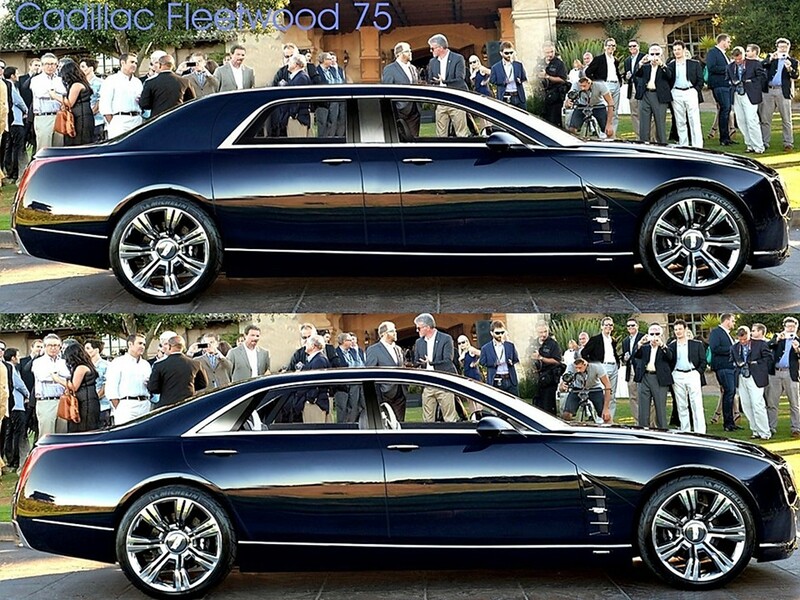 Bill Mitchell designed the Fleetwood-bodied Series Sixty-Special. 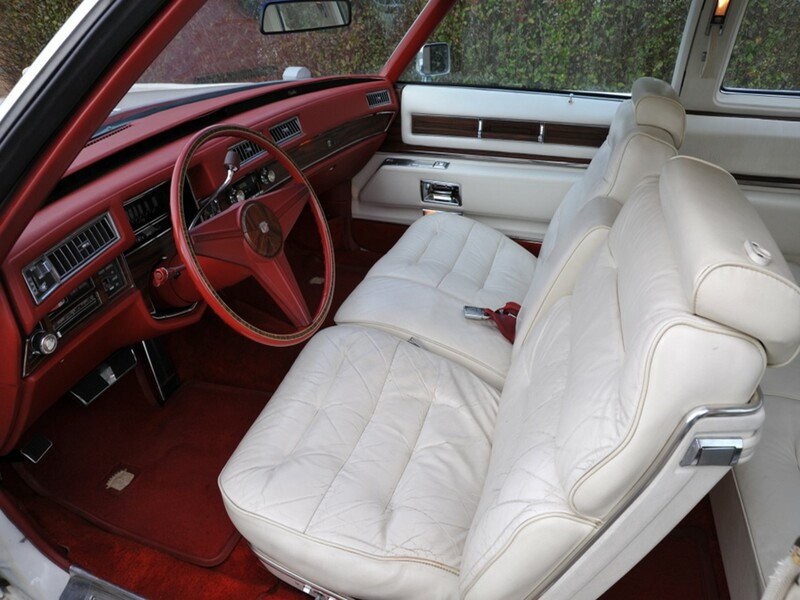 This car revolutionized luxury automobiles. 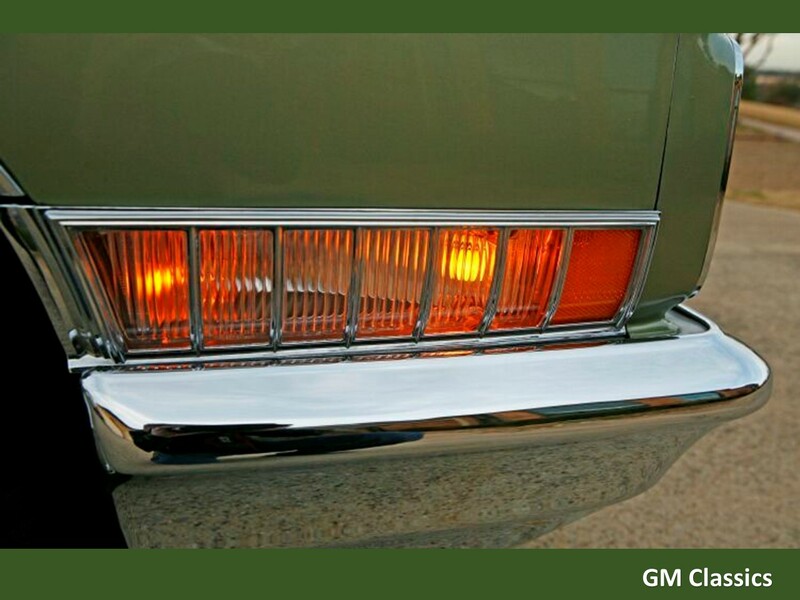 It was the first car to use fender mounted headlamps when everyone else attached them to the hood. 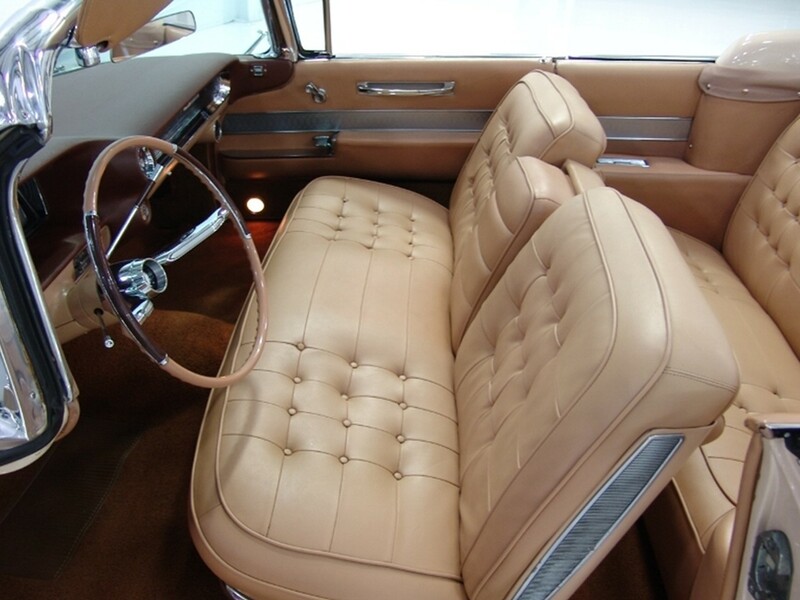 The elegant Series Sixty-Special was sans running boards which was shocking at the time. 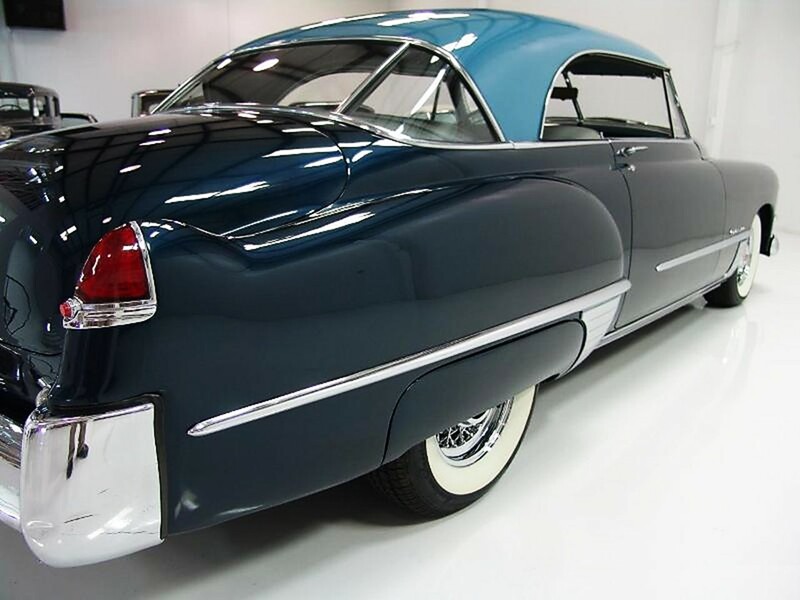 It had a faired-in rear deck lid, thin door posts, and chrome banded window frames which became Fleetwood signature features for many years. 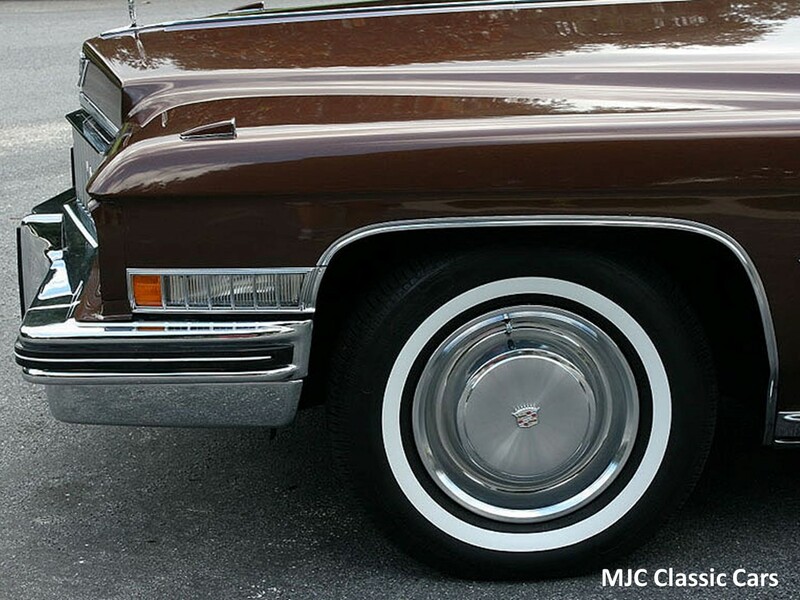 A hydraulic braking system was also introduced by Cadillac in 1936 as a first to the industry. 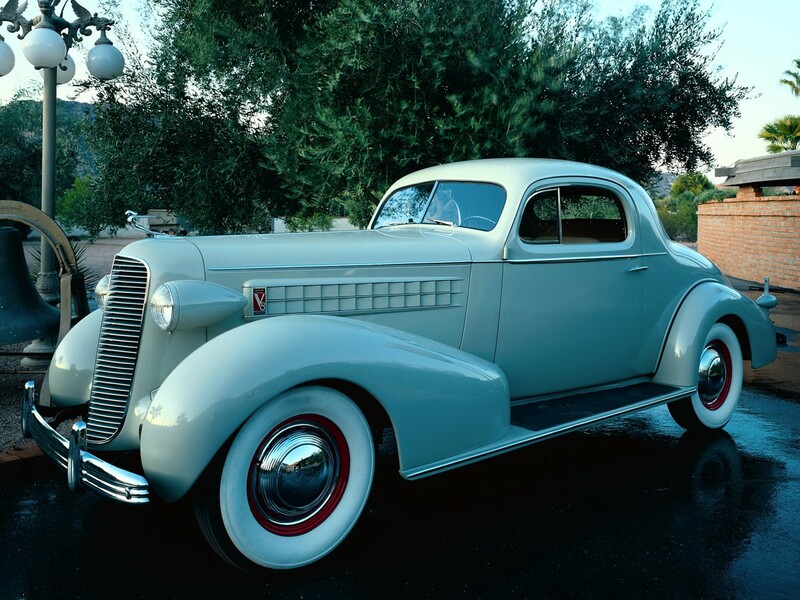 The Sixty-Special was released for the 1938 model year; its design was copied by the rest of the auto industry. This milestone vehicle made everything on the road appear outmoded. 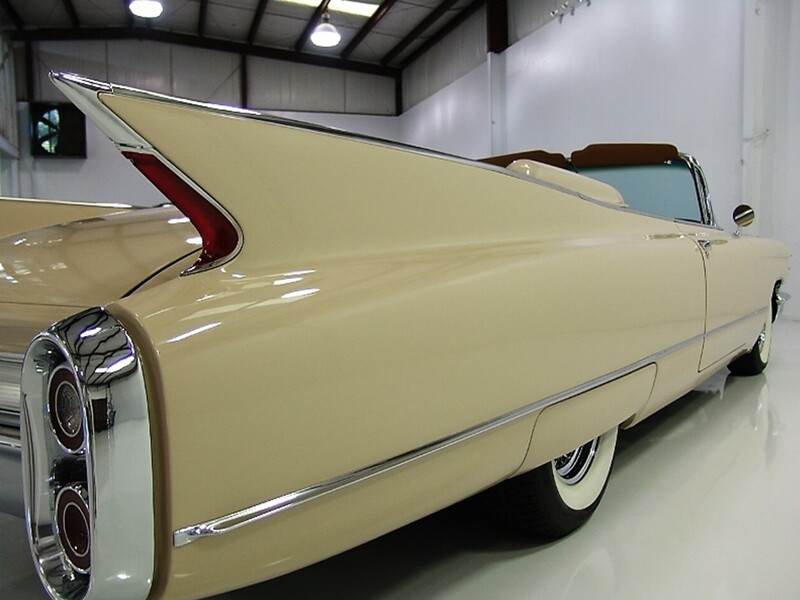 This car influenced automotive design for an entire generation. 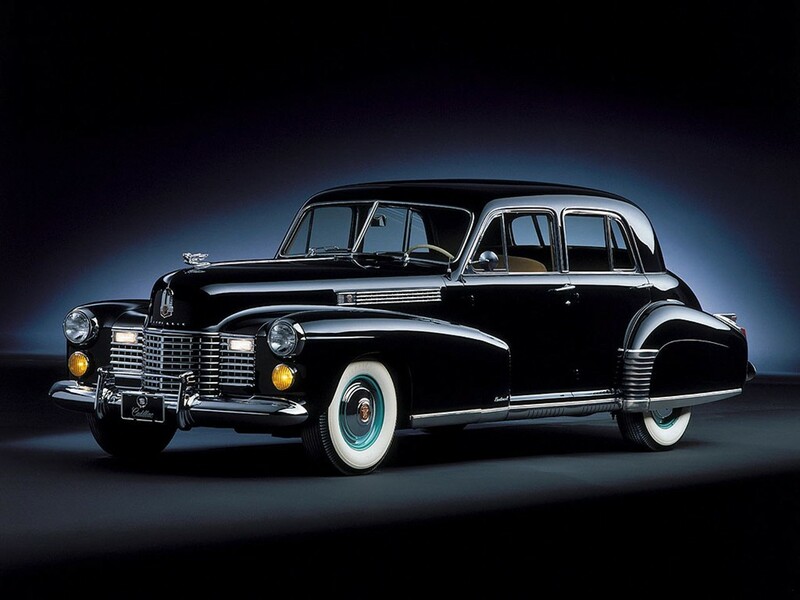 For the 1940 model year, Cadillac was the first to introduce an ultra-modern large, luxurious motorcar to the industry known as the Fleetwood Series Seventy-Two. 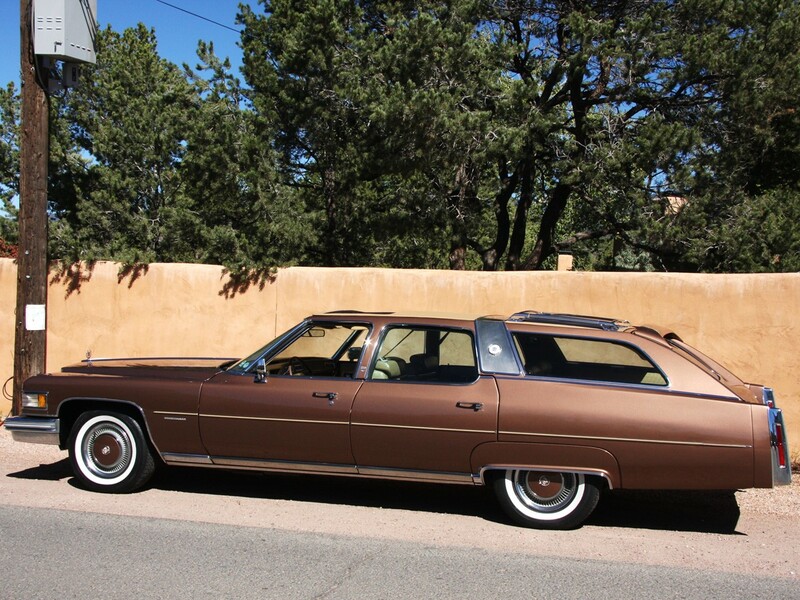 It was similar to the Fleetwood Series Seventy-Five but is 3″ shorter. It rides upon a long 138″ wheelbase. 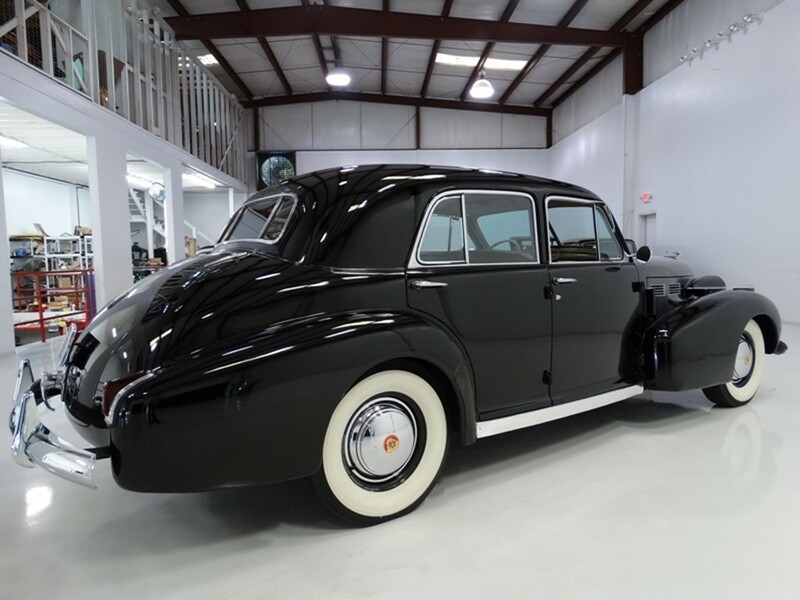 The Fleetwood Series Seventy-Two is powered by a 346 CID V8 engine that produces 140 hp. 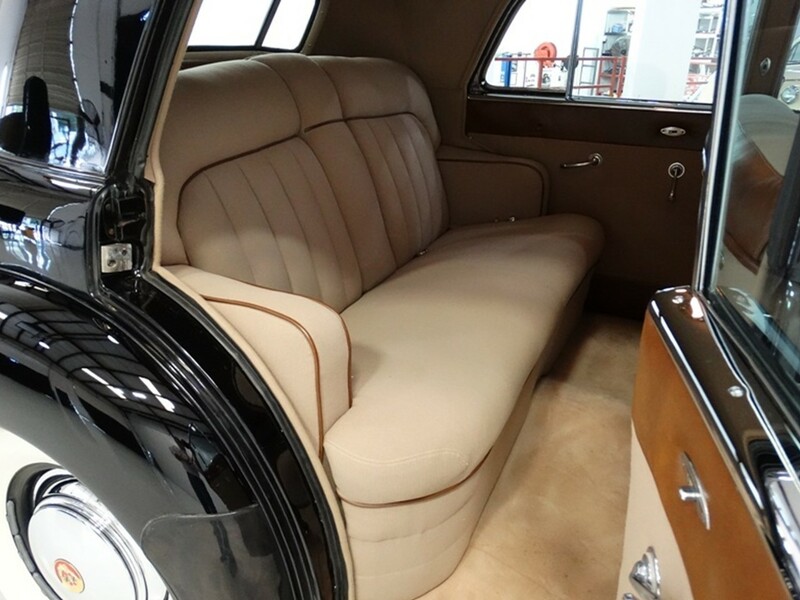 The Fleetwood Series Seventy-Two uses a 3-speed manual transmission and is equipped with a four-wheel hydraulic braking system. 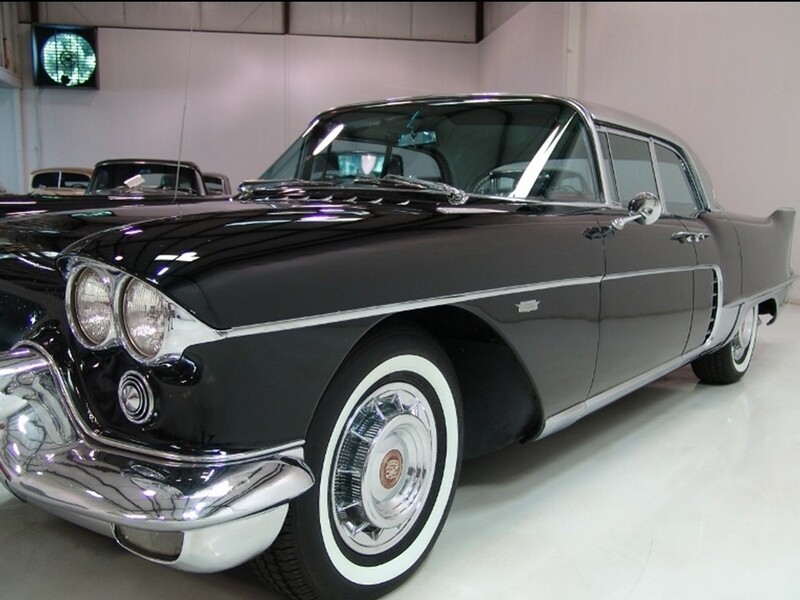 This is the only year it was produced and only 18 were built. 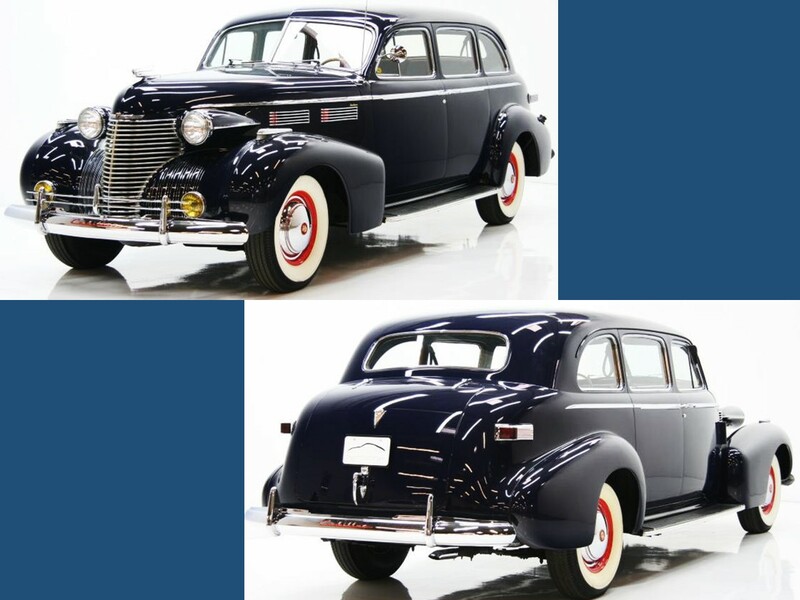 1940 introduced the first ball bearing steering system making these large vehicles easier to maneuver. 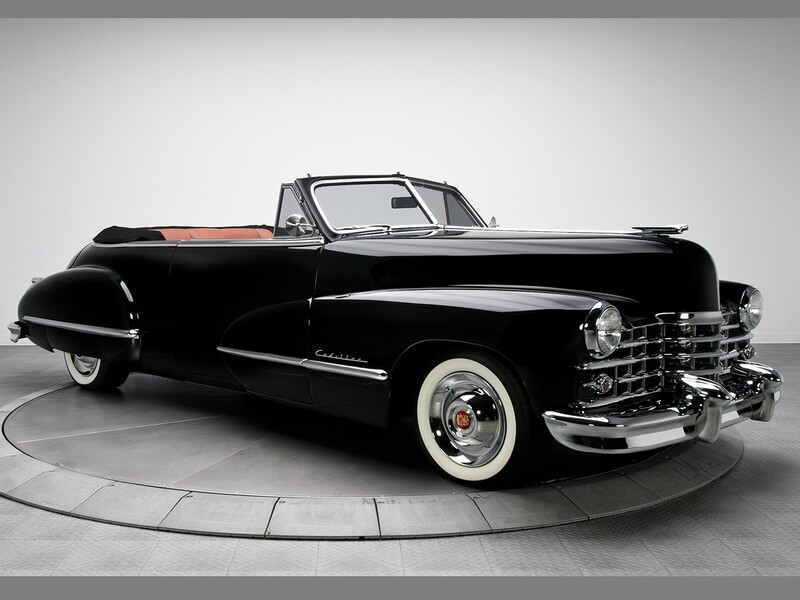 Harley Earl’s first monumental design is the 1948 Cadillac. 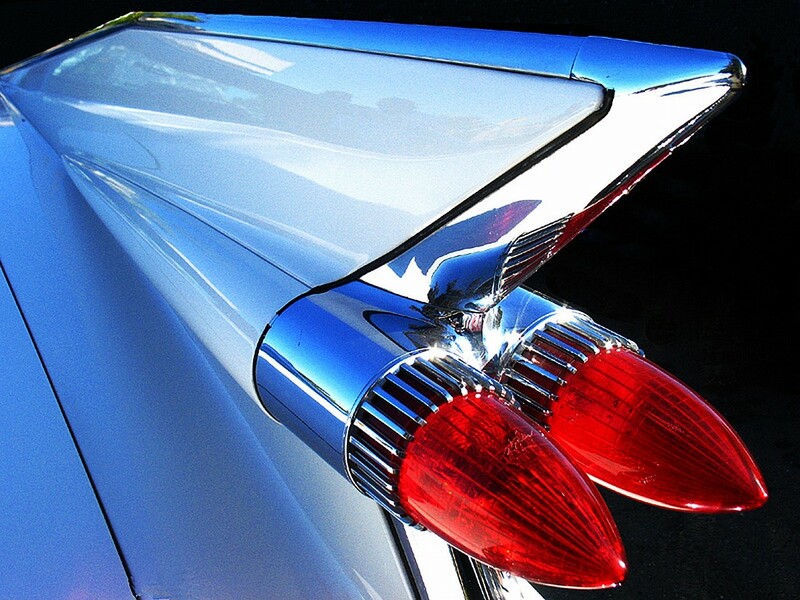 This is the birth of the iconic Cadillac tail fin. The Lockheed P-38 was the inspiration. 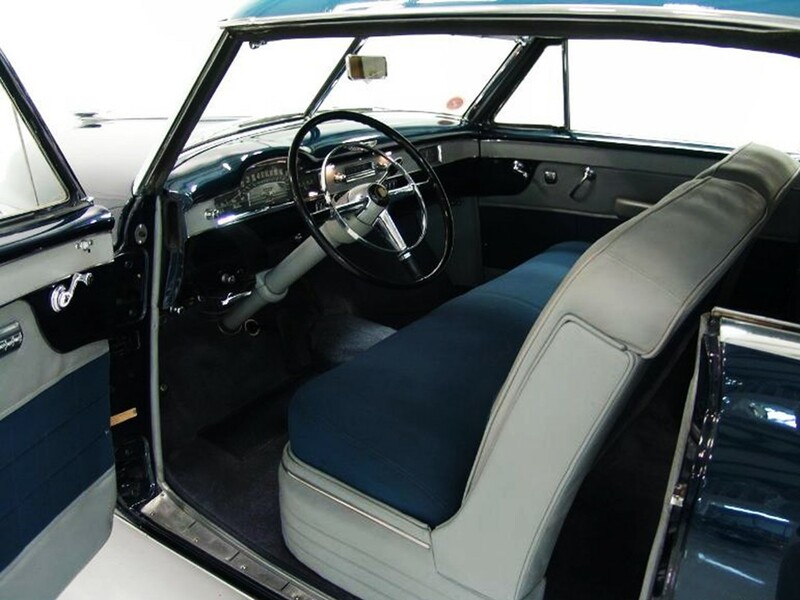 During this genre, air craft and space rockets dominated the designers’ imagination for automotive design. 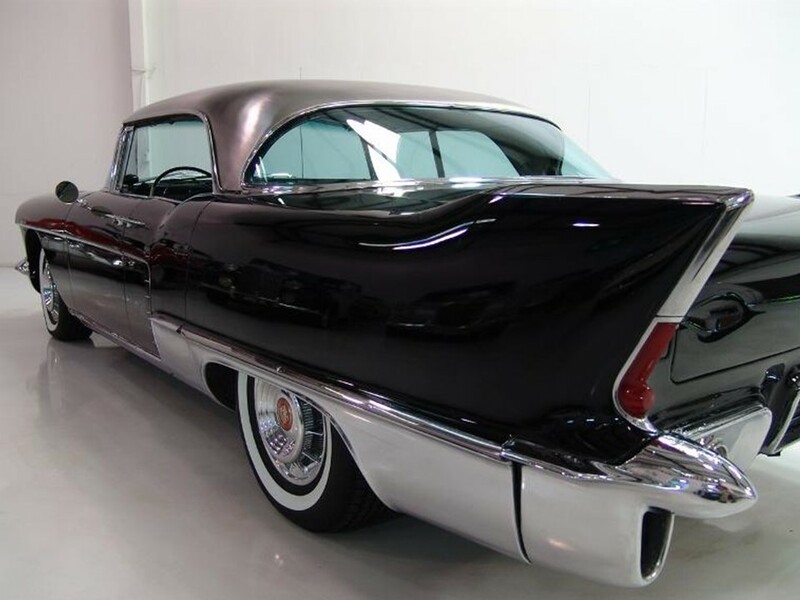 The tail fin wars of the 1950s were instigated by Harley Earl and Chrysler’s chief designer Virgil Exner. 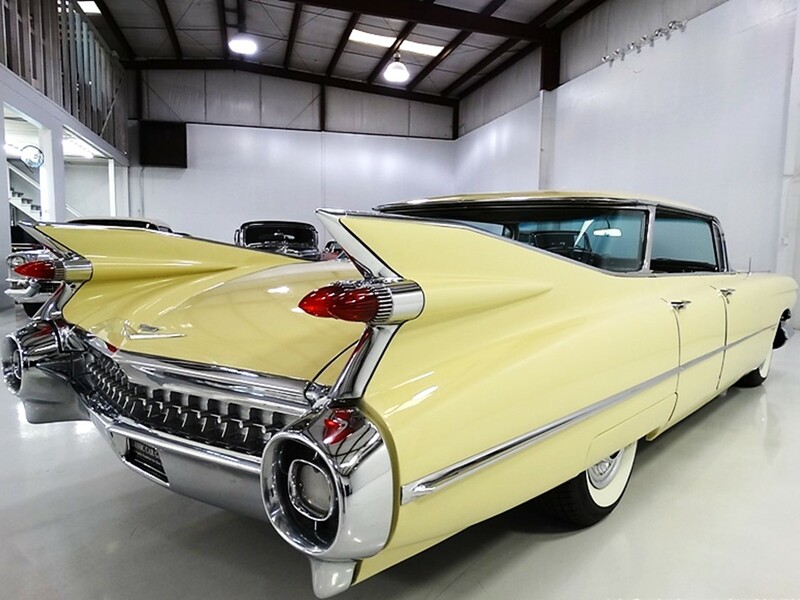 Tail fin mania spread like wildfire throughout the industry. 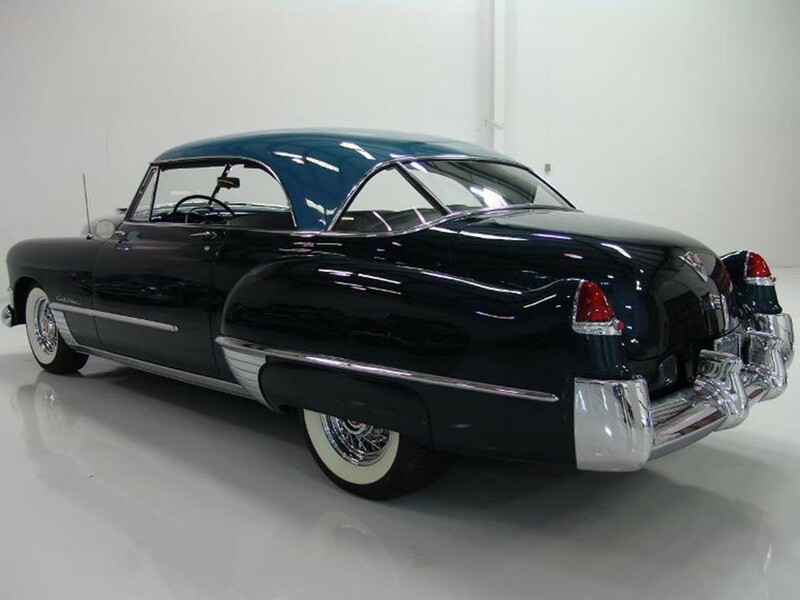 The greatest engineering achievement in 45 years was Cadillac’s new compact…more economical and smoother operating overhead valve V8 engine for the 1948 model year. 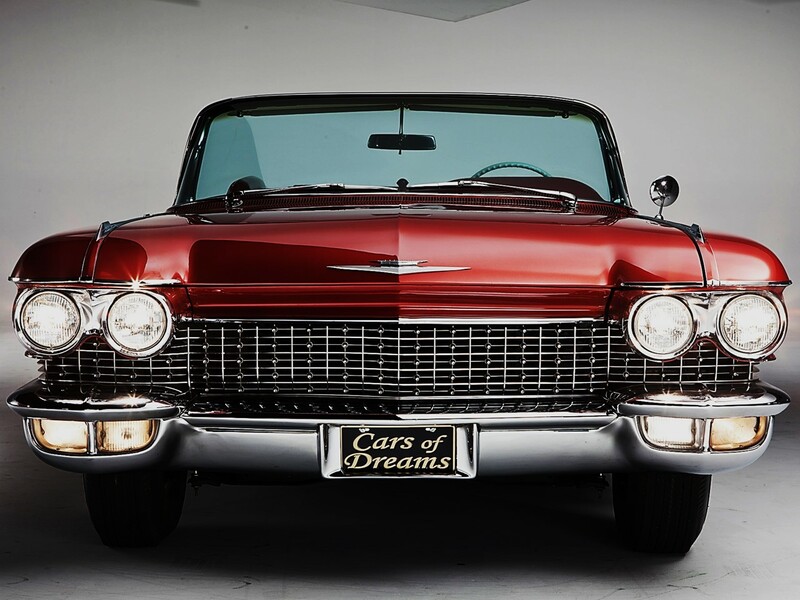 Harley Earl and Alfred P. Sloan, GM’s president at the time developed the annual model change implemented as “Dynamic Obsolescence.” This associated model identity to a specific year for product success. This principle is used in the marketing strategies today. 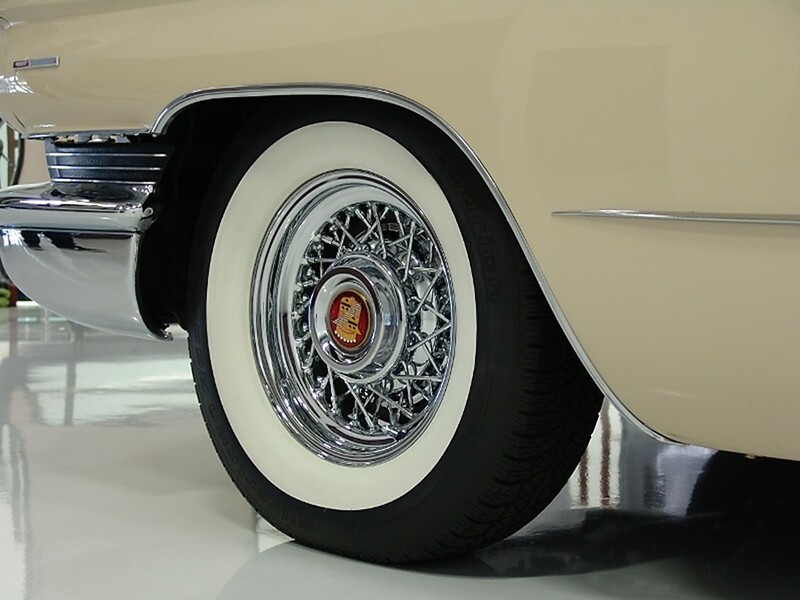 Harley Earl is the pioneer of using clay models to evolve various body components. 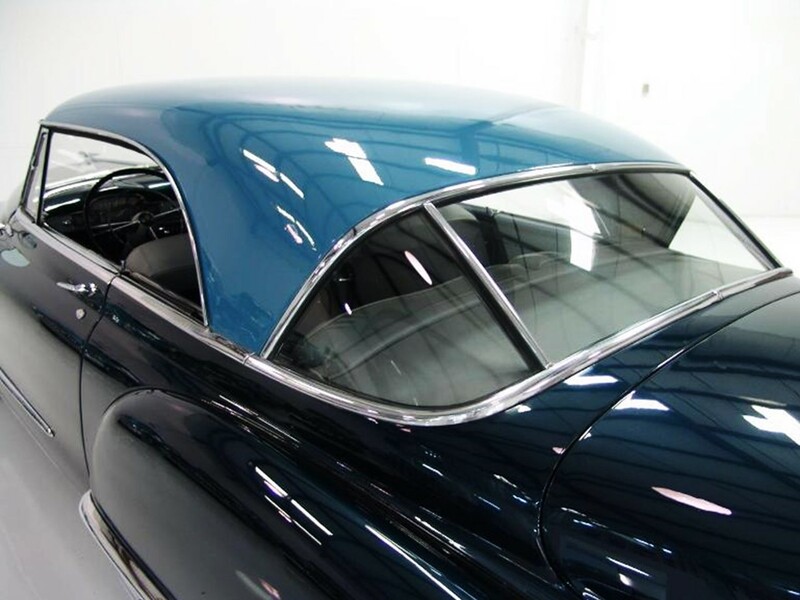 He is the first designer to create complete automobiles; blending the main body structure with hoods, fenders, lights, and trim to enhance styling continuity. The rest of the auto industry scrambled to adopt this theory. 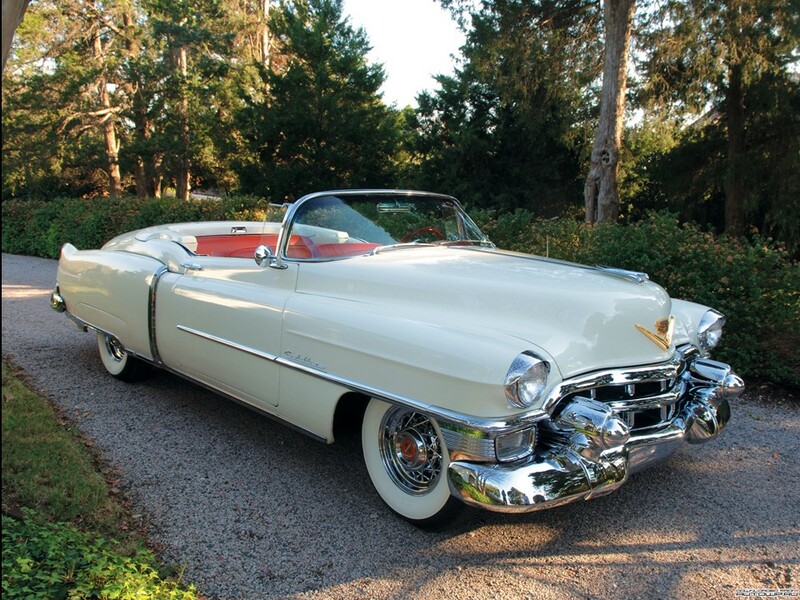 Public acceptance was important to Harley Earl. It was his fabulous idea that led to the formidable GM Motoramas. Between 1949 and 1961 these glitzy, glamorous extravaganzas showcased notorious conceptual designs aimed at public reaction. Comments were taken seriously and used towards production models. 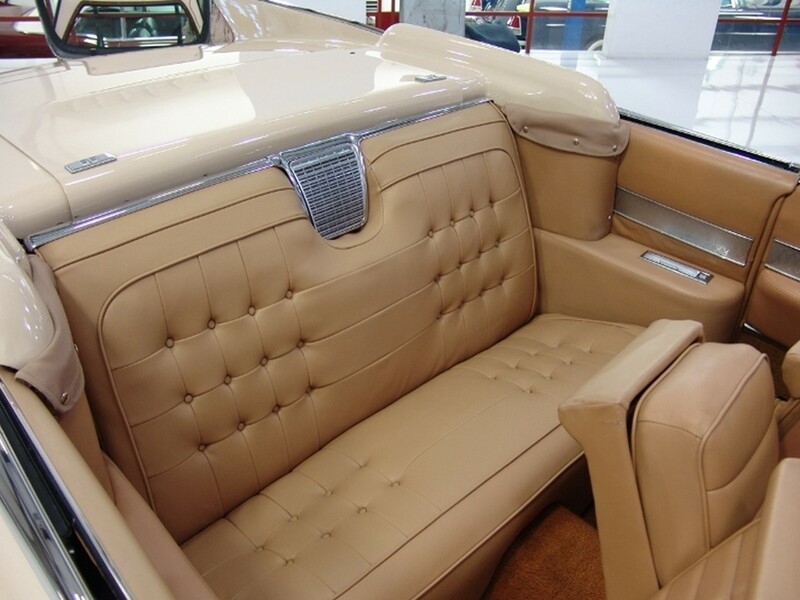 Harley Earl designed the pillarless hardtop design which was the first of its kind in the automotive industry. 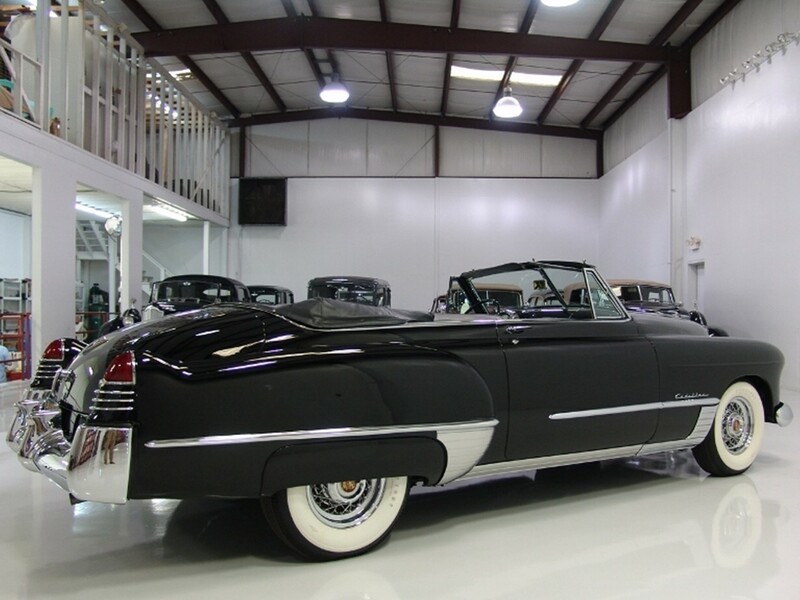 Cadillac even outdid itself for the 1953 model year slapping the competition with the highest horsepower V8 engine to power a domestic production vehicle with an astounding 220 hp in the magnificent limited edition Series 62 Eldorado convertible…a Harley Earl masterwork! 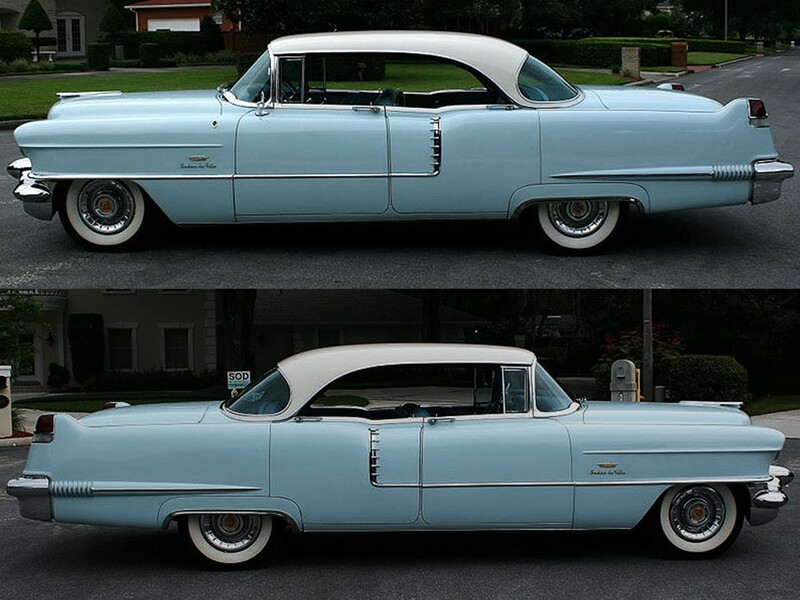 The 1953 Cadillac Eldorado is an exclusive trim option package for the Series 62 and the image car for General Motors. 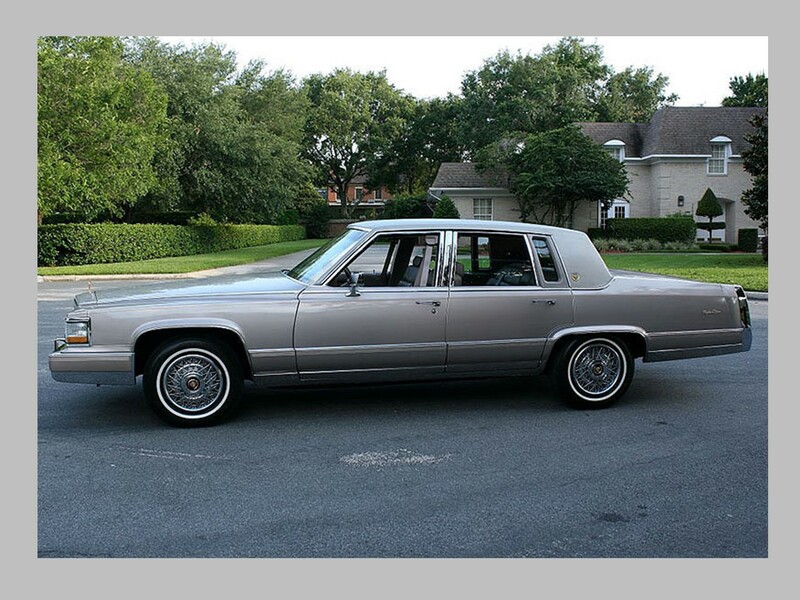 It was also the most expensive model at $7,750…you could have purchased two Cadillacs for this price. 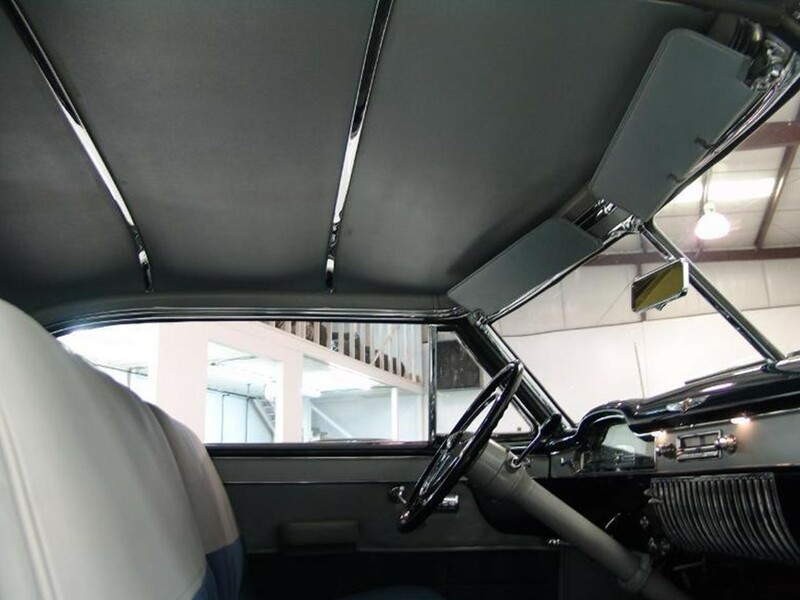 Distinctive signature features which set it apart from the stock convertible are a wrap-around panoramic windscreen, a sculpted beltline that incorporates a cupid’s bow in its design, a sleek metal parade boot, and Kelsey-Hayes genuine wire-laced wheels. 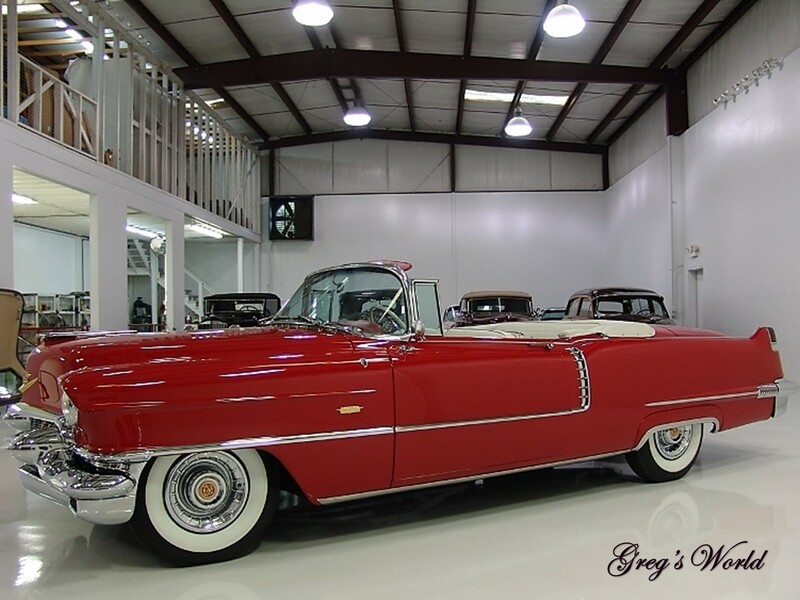 Only 532 were built making it highly sought by collectors world-wide today. 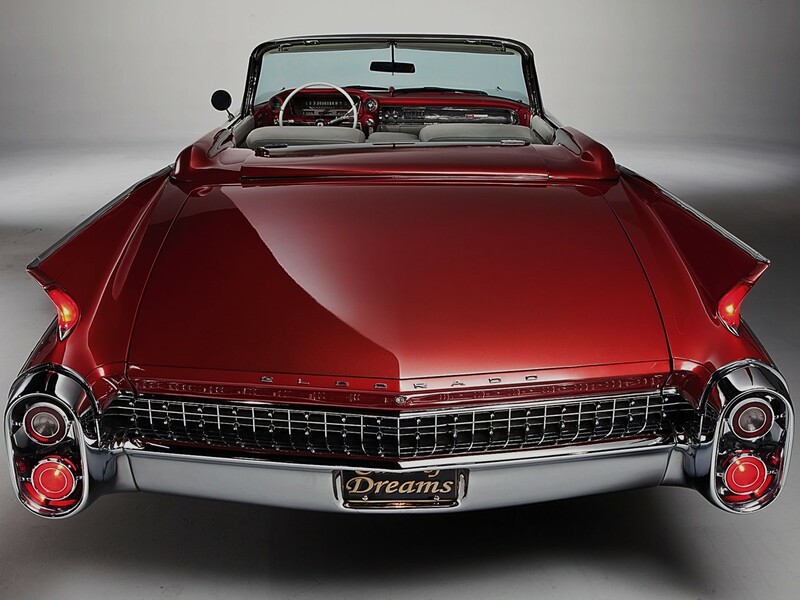 They now sell for six figures…that is if you can find one for sale – Harley Earl’s legend will live on forever. 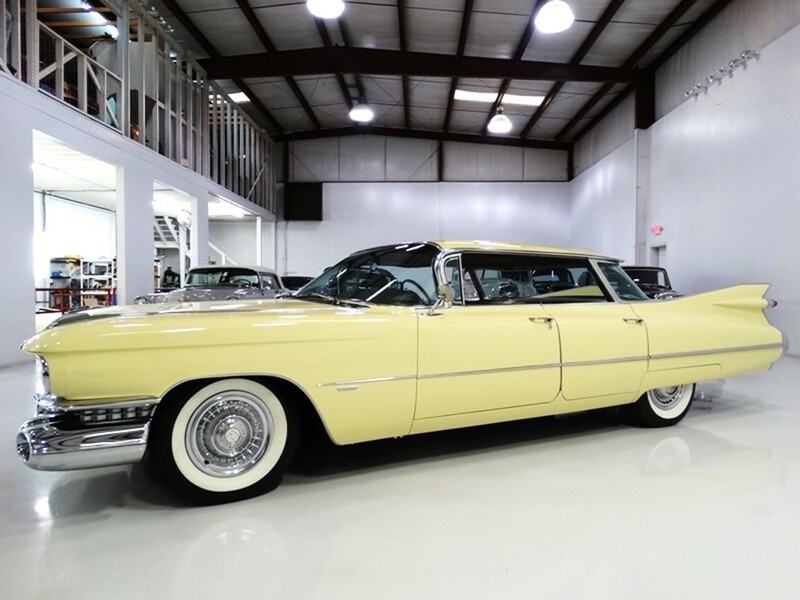 He and Bill Mitchell made Cadillac the quintessential luxury icon. 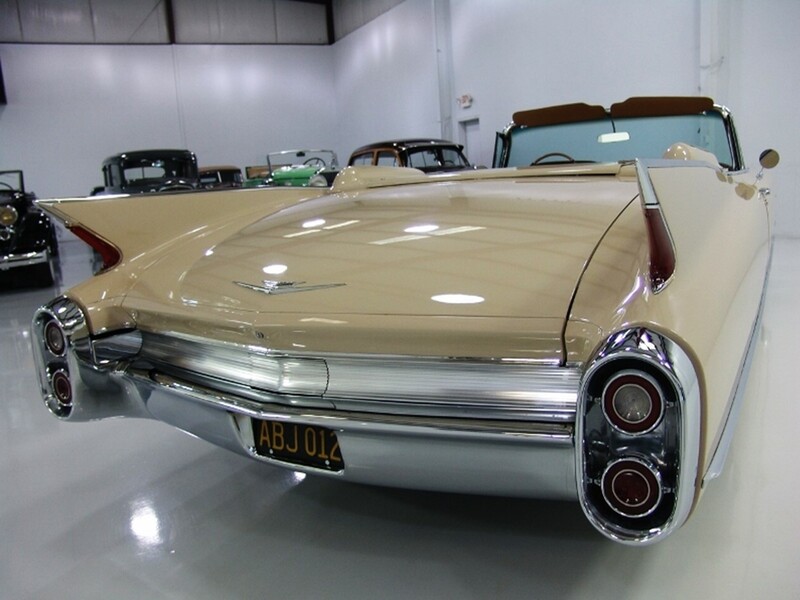 The last of Harley Earl’s masterpiece designs is the magnificent 1957-1958 Series 70 Eldorado Broughams. 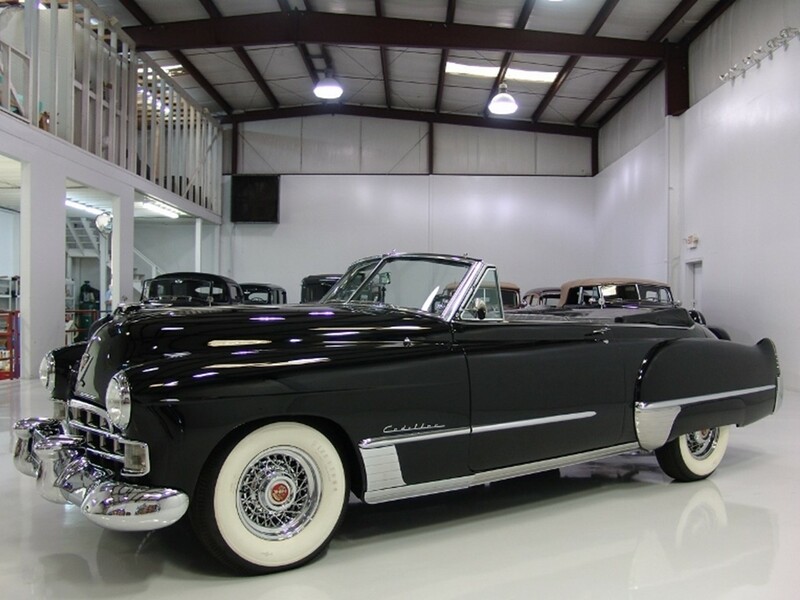 This is the most spectacular Cadillac motorcar of the 1950s. 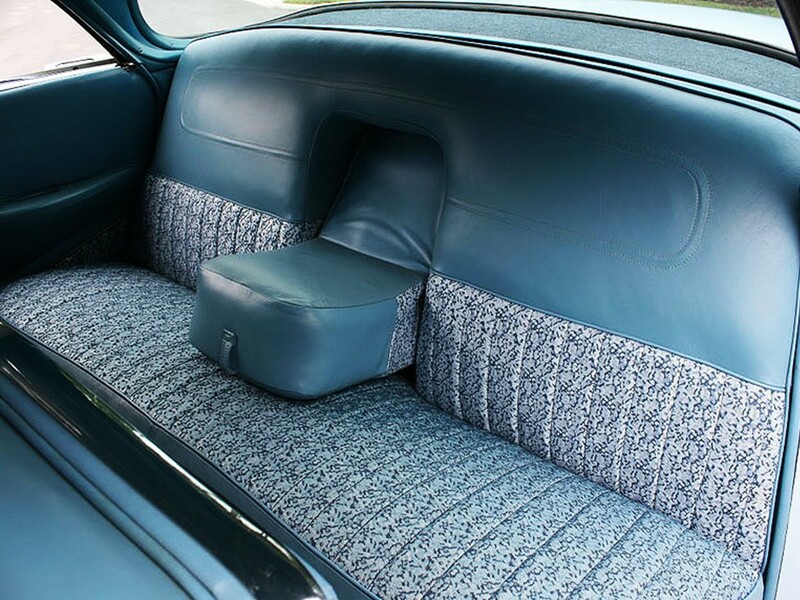 Its sheet metal wasn’t shared with any other Cadillac. 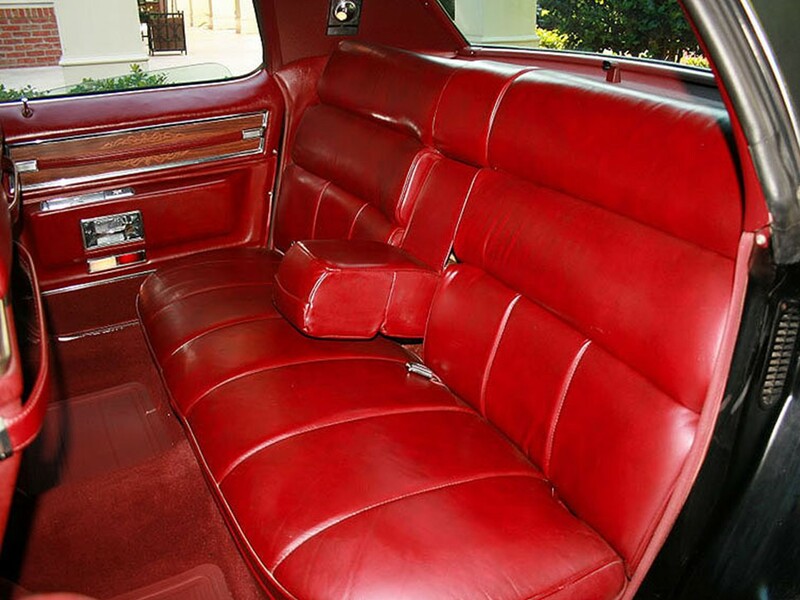 The Eldorado Brougham was one of the world’s most expensive cars at the time selling at $13,074. 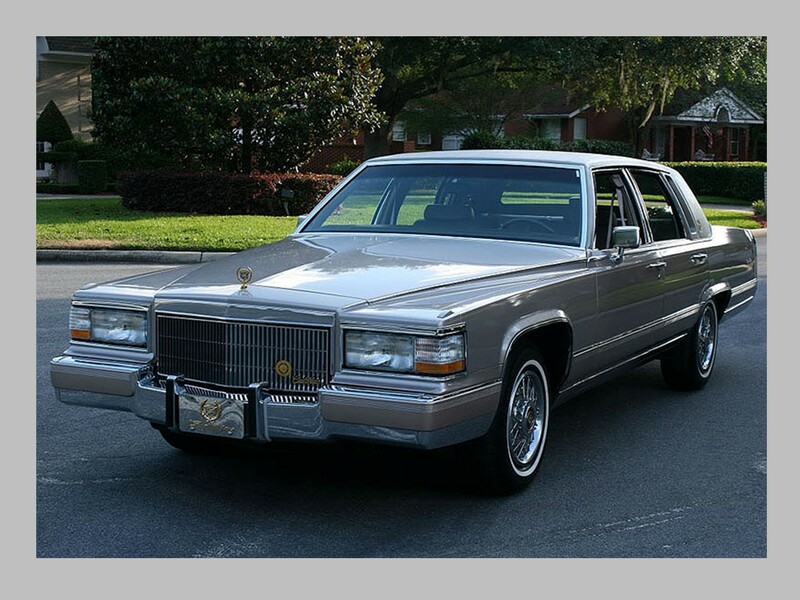 Understated luxury from bumper to bumper with a custom appearance makes this automobile totally unique for the genre. 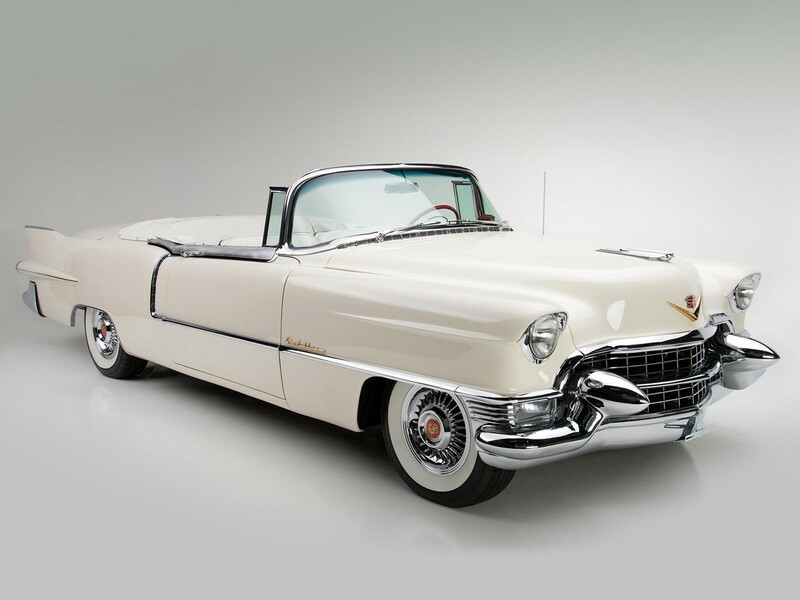 Harley Earl designed some of the most significant Cadillacs of all time. 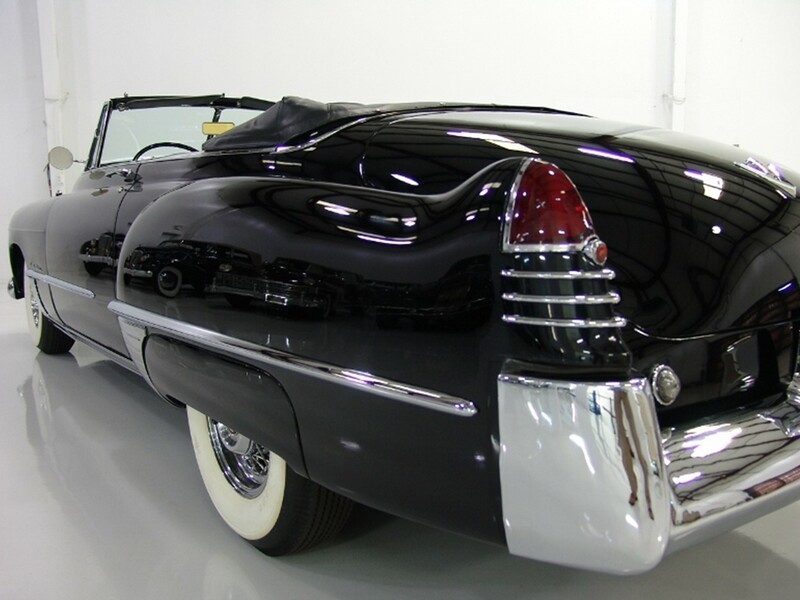 He retired at age 65 in 1958 shortly after directing the design of the iconic 1959 Cadillacs. 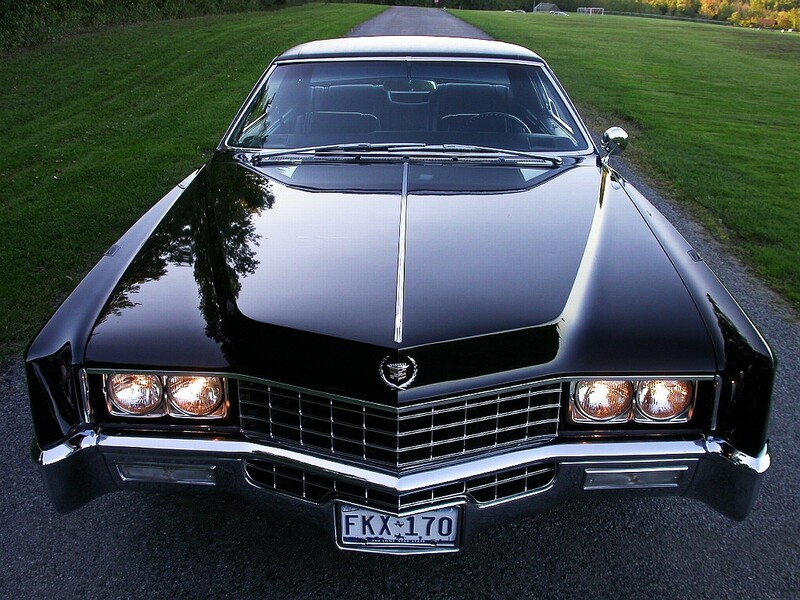 By this time, General Motors had become the largest corporation in the world. 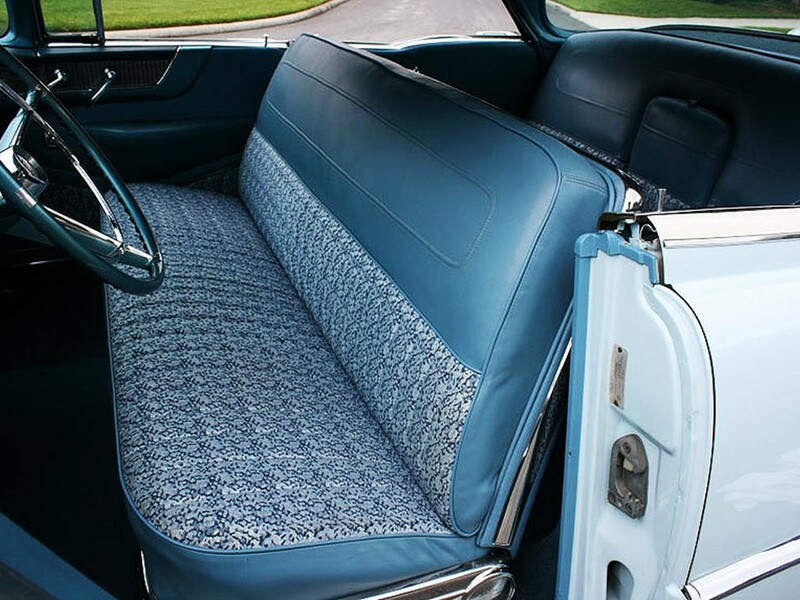 He gave GM vehicles a more conservative, streamlined look. 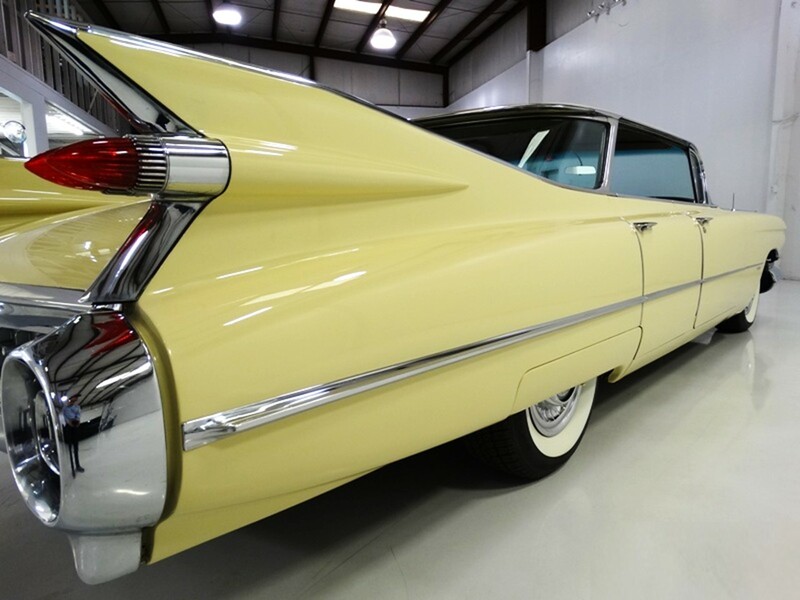 His restrained use of ornamentation, less chrome, and the elimination of tail fins instituted an understatement which made these automobiles timeless challenging the years gracefully. 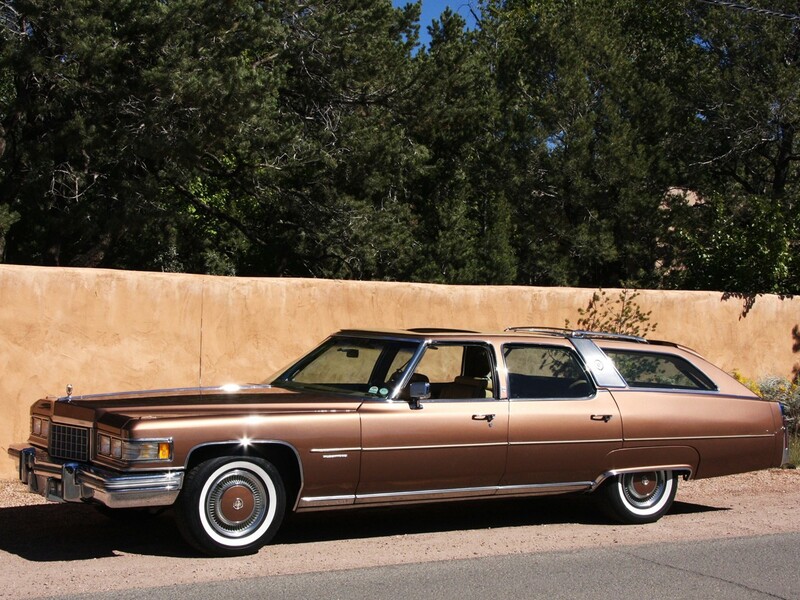 Mitchell’s last accomplishments are the radically down-sized Cadillacs for the 1977 model year. 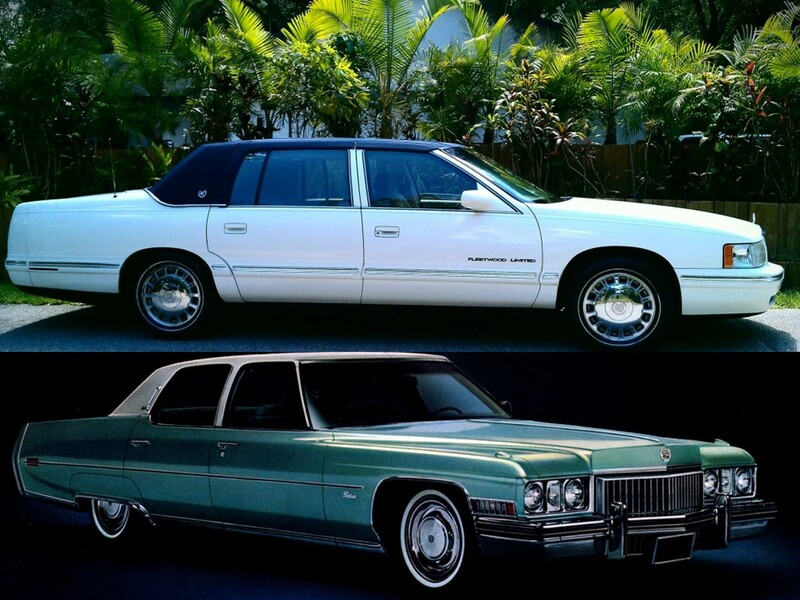 Both Bill Mitchell and Harley Earl left an indelible impression on the automotive industry. 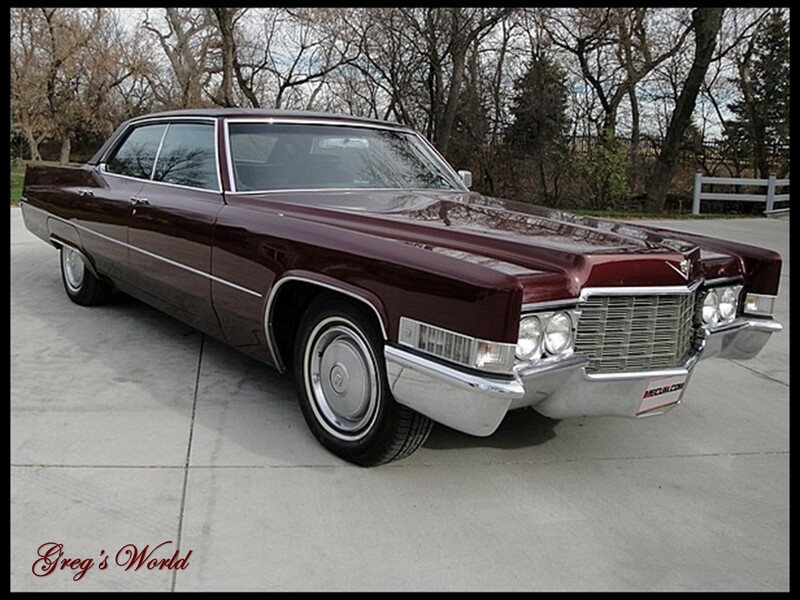 The 1967 Cadillac Fleetwood Eldorado with front-wheel drive is the world’s finest personal luxury automobile. 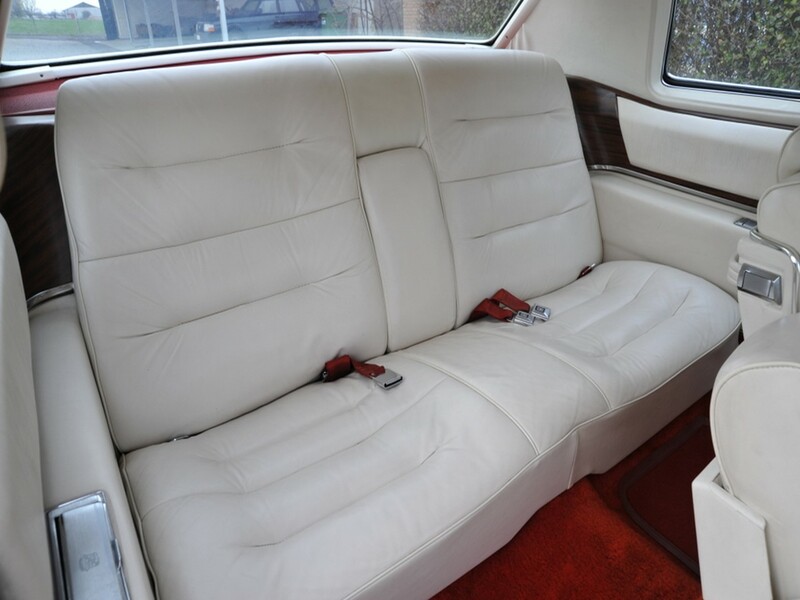 It successfully combined the traction of front-wheel drive, maintained perfect poise with Automatic Level Control, and the maneuverability of Variable Ratio Power Steering…all as standard equipment. 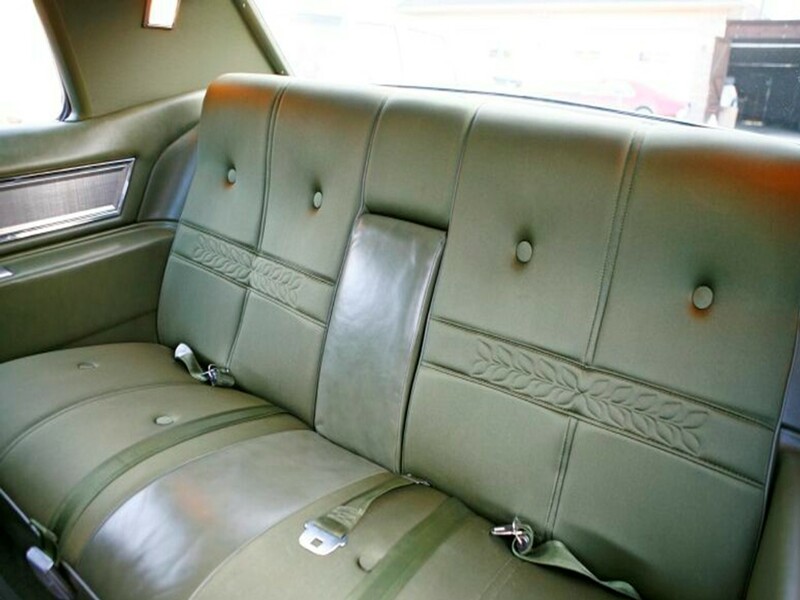 This car gangster-slapped the industry big-time! 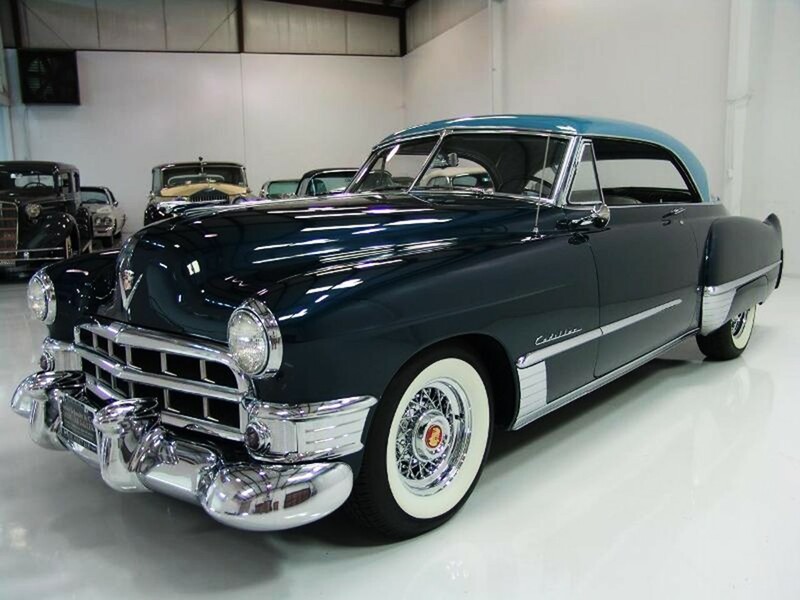 Cadillac pioneered many features and accessories the auto industry takes for granted. I could go on and on with praise for the brand’s outstanding automotive achievement. 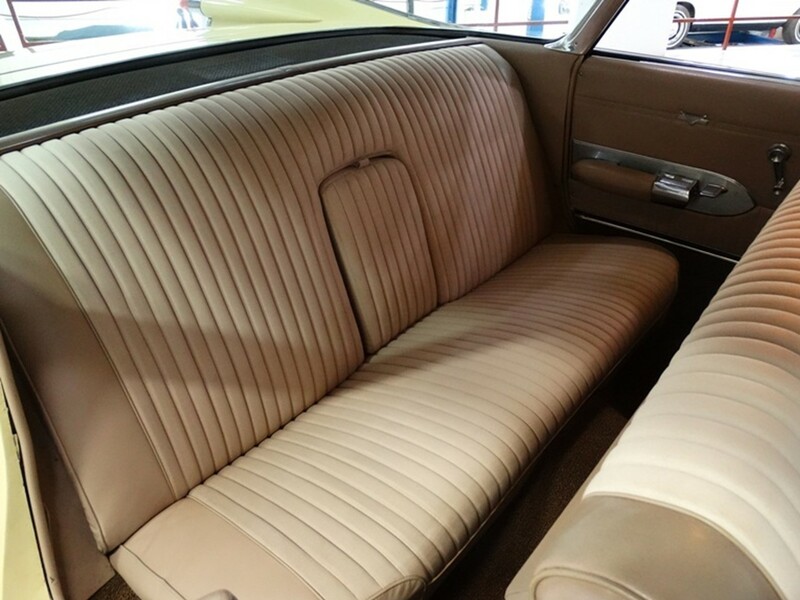 The 1960s and 1970s were equally as innovative…but something happened during the mid to late 1970s. 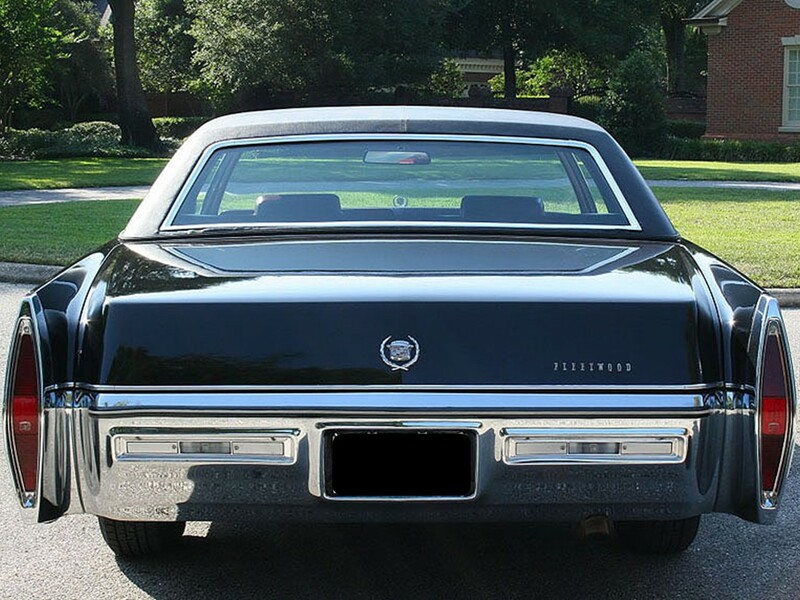 The music stopped for Cadillac in the 1980s – it became adulterated with so many generic shortcuts which made it a mere hodgepodge of GM parts adorned with Cadillac nomenclature. Quality, fit & finish came to an abrupt halt. 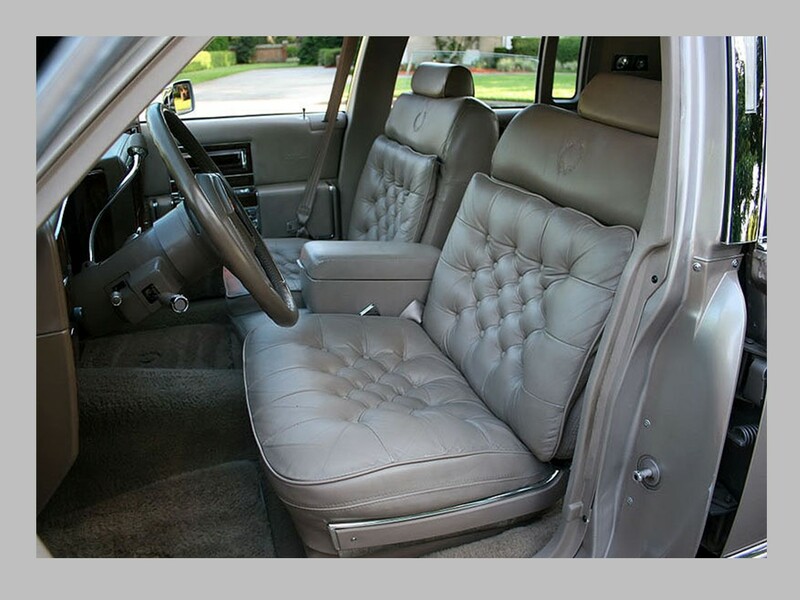 Its styling became nondescript and austere. And as the years went by, it began chasing/emulating anything that moved from Europe. It has become too many things: a jack of all trades and a master of none. 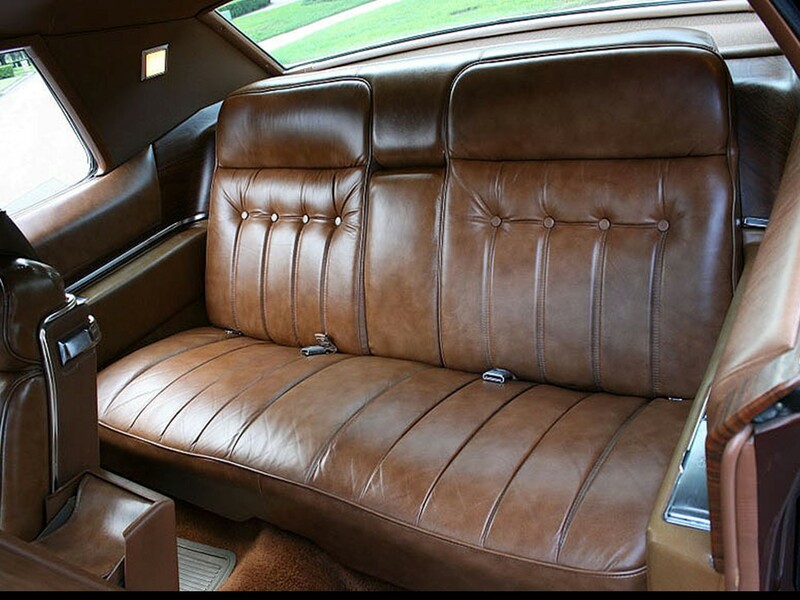 Its luxurious demeanor has become diluted to the point of kitsch. All models are recalled annually because of defects and short-sighted engineering. 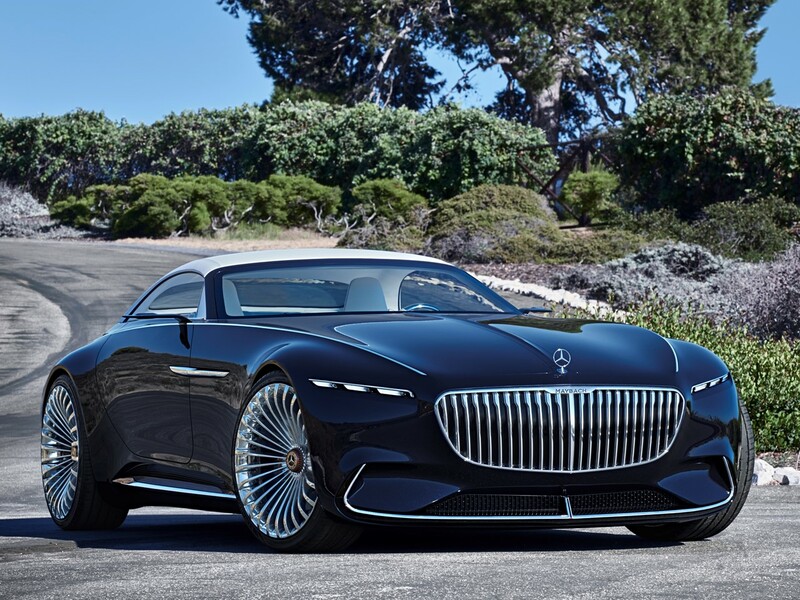 It is no longer a real luxury car…it masquerades as everything. In order to regain its stature, it must cease and desist with the intent of trying to be all things competing in areas which it should not. 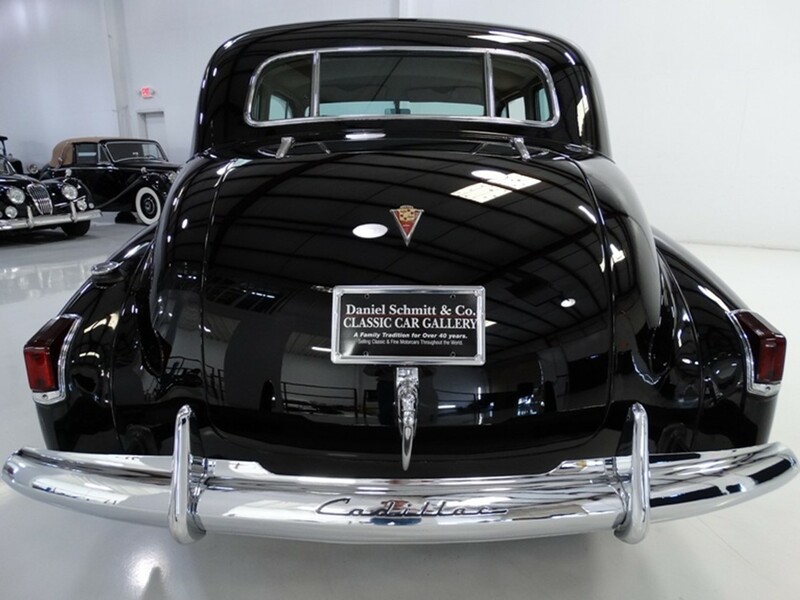 Special thanks to the best caretakers in the classic car business: Daniel Schmitt Classic Cars, Jim Hailey’s Classic cars, Matt Garrett/GM Classics, MJC Classic Cars, Liberty Old Timers, Bob Adams Classic Cars, and Park Ward Motors Museum. Will there ever be another “Standard of the World” creation? 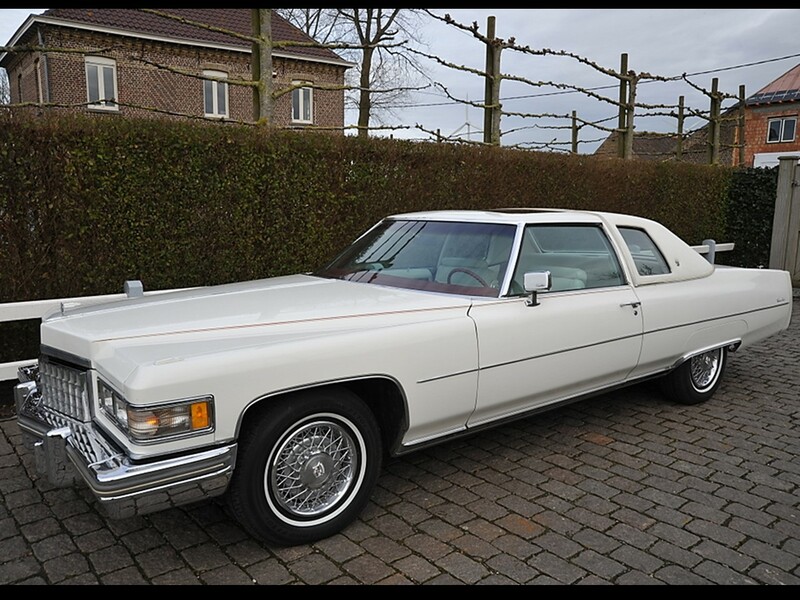 When is this new 4-door De-Elegance arriving? Decline and fall of the entire country? What are you trying to say here? My email box filled with comments regarding this…everyone wants to know what you are talking about and how it relates to this article?